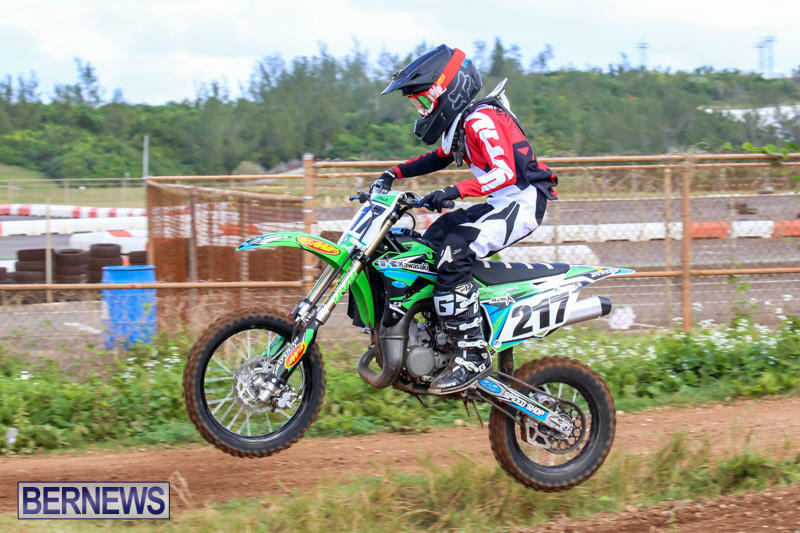 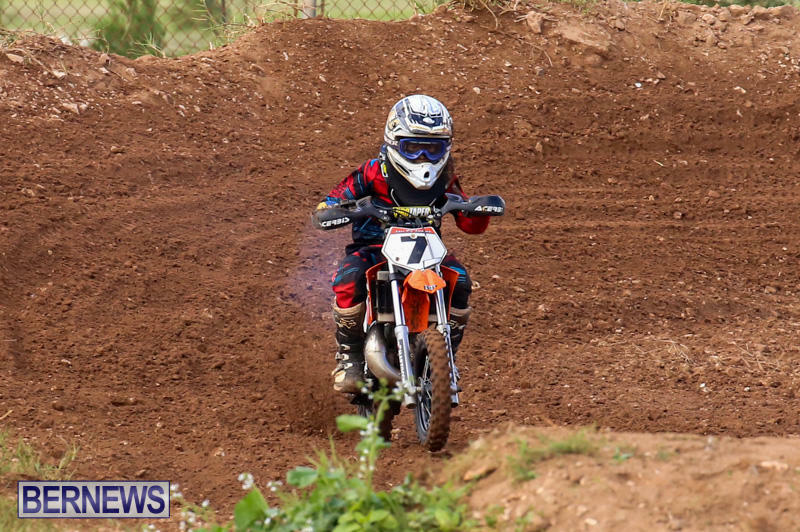 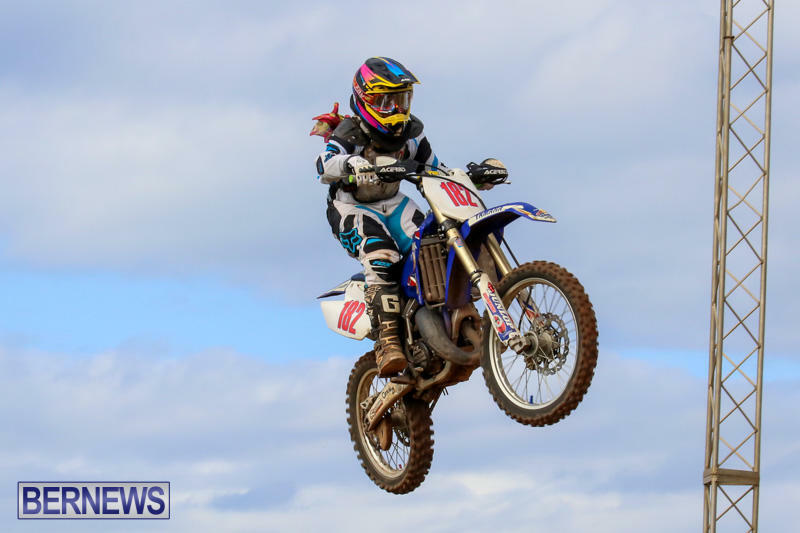 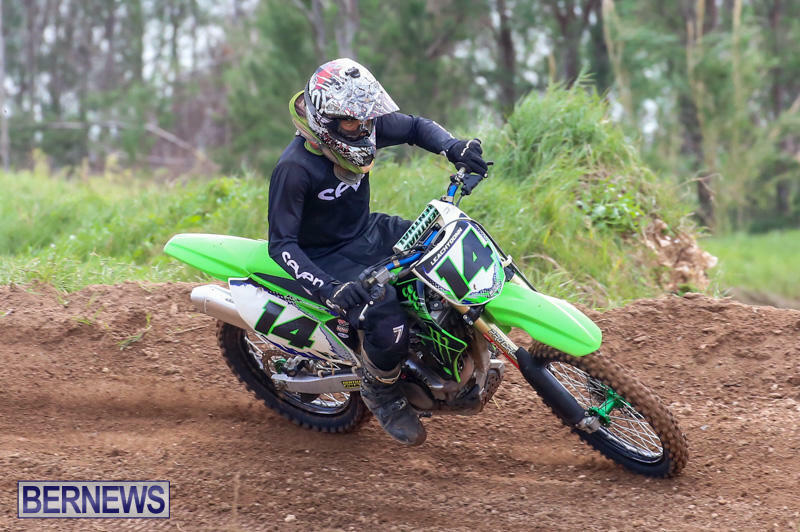 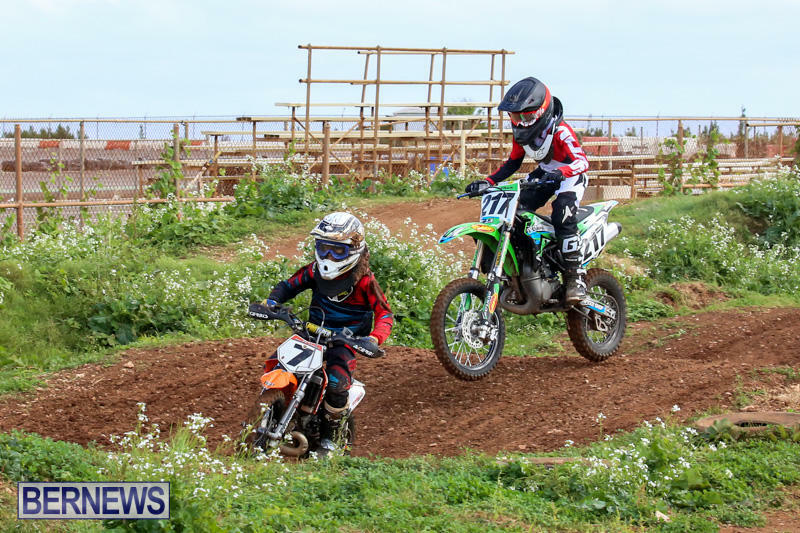 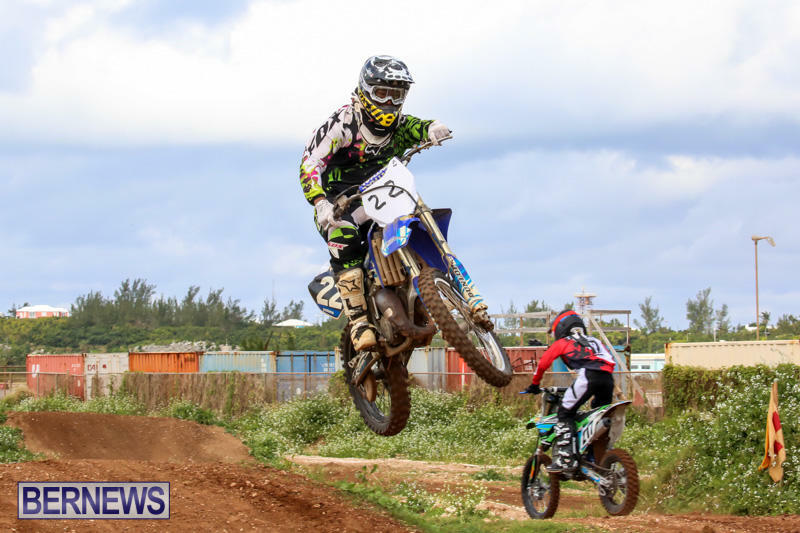 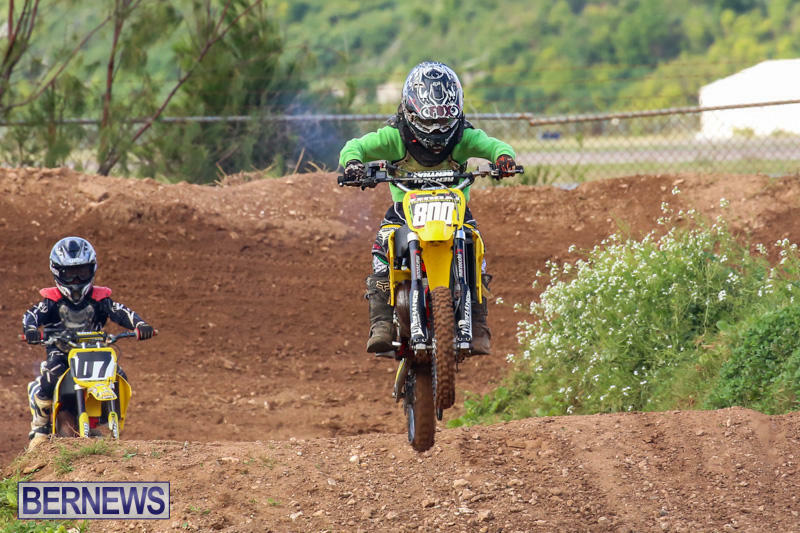 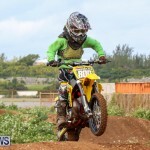 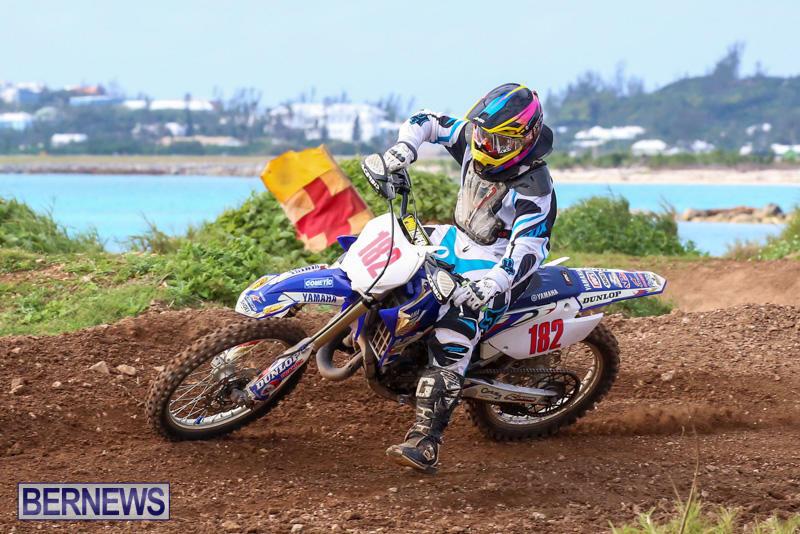 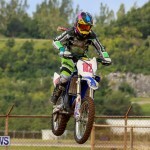 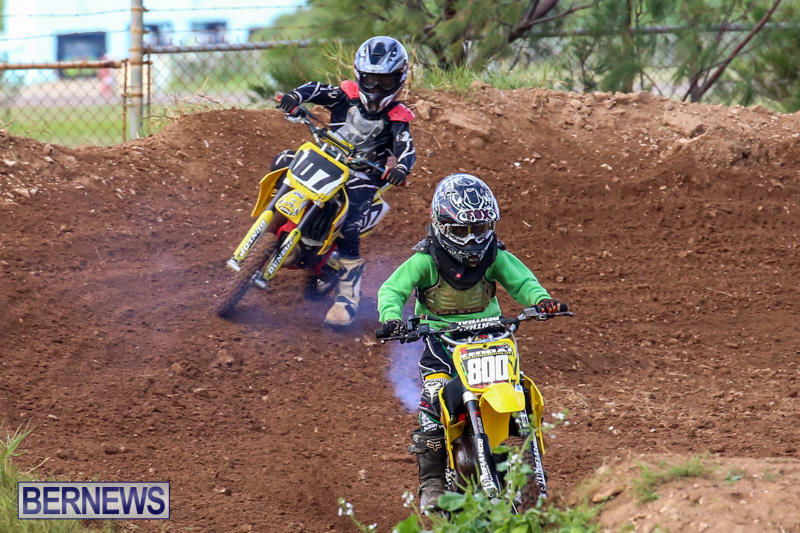 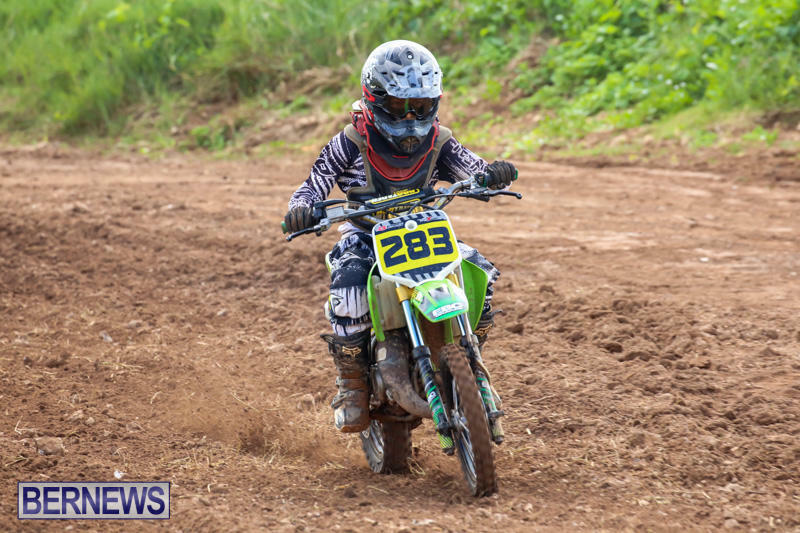 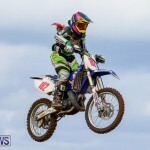 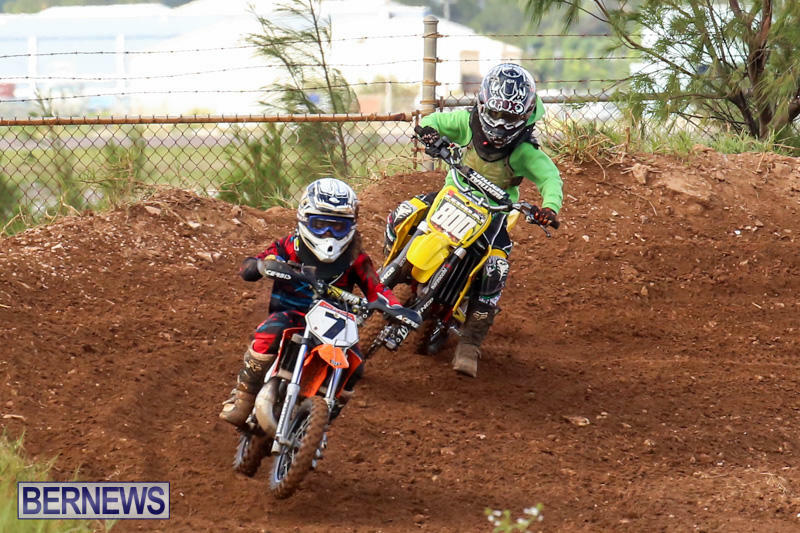 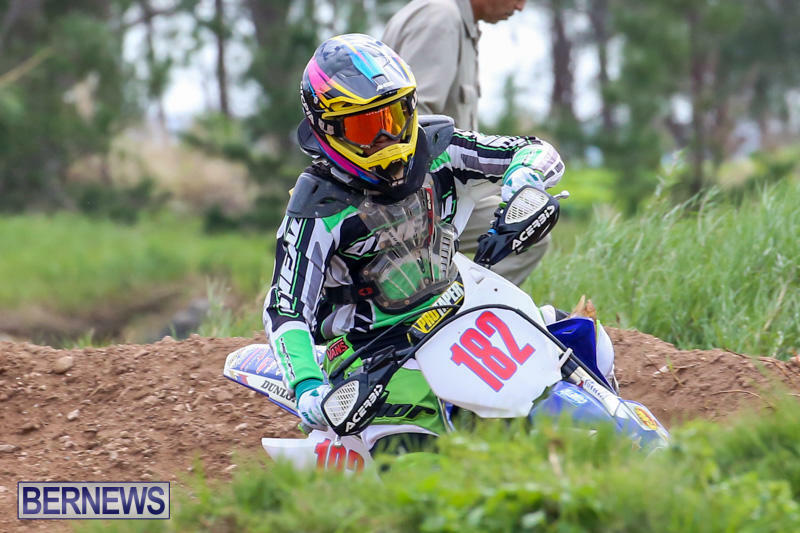 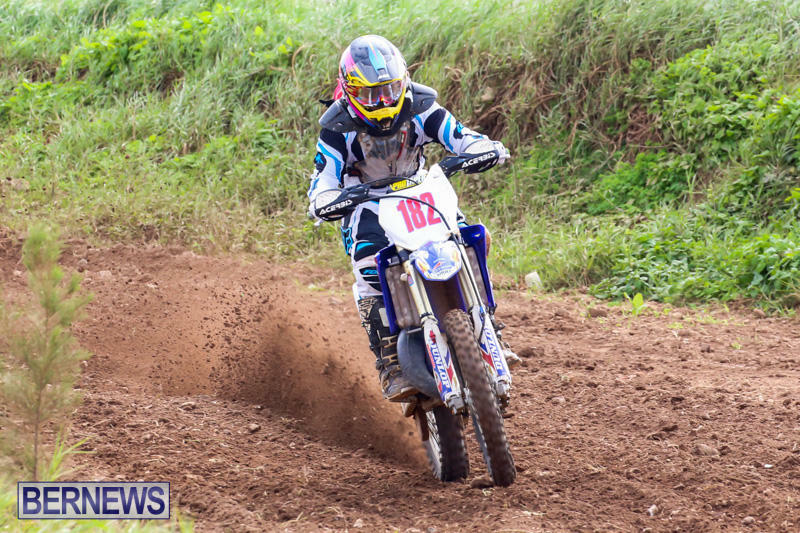 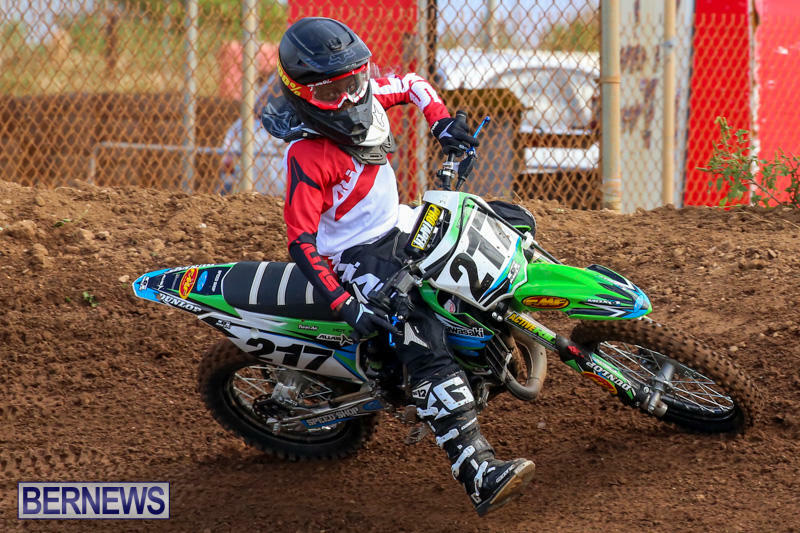 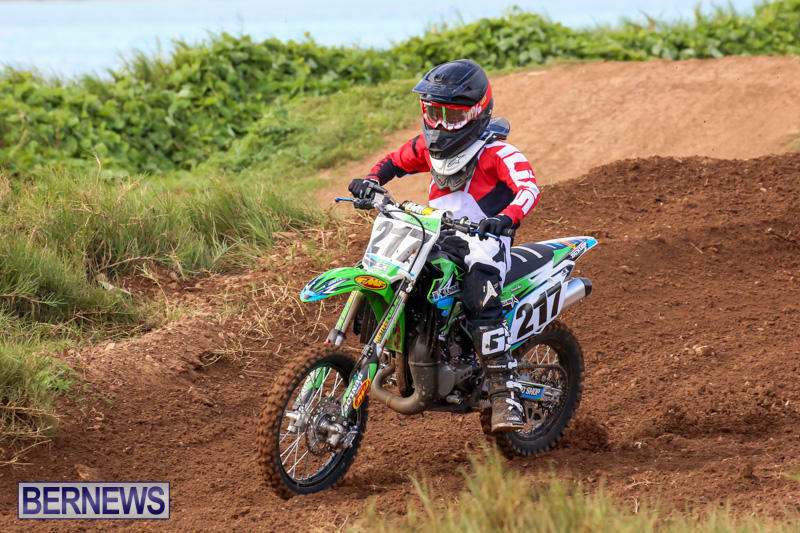 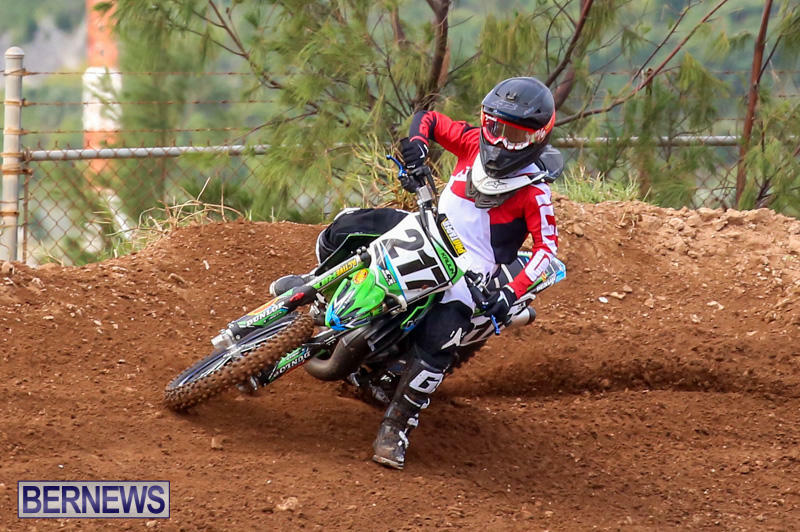 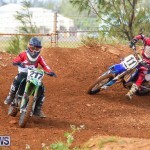 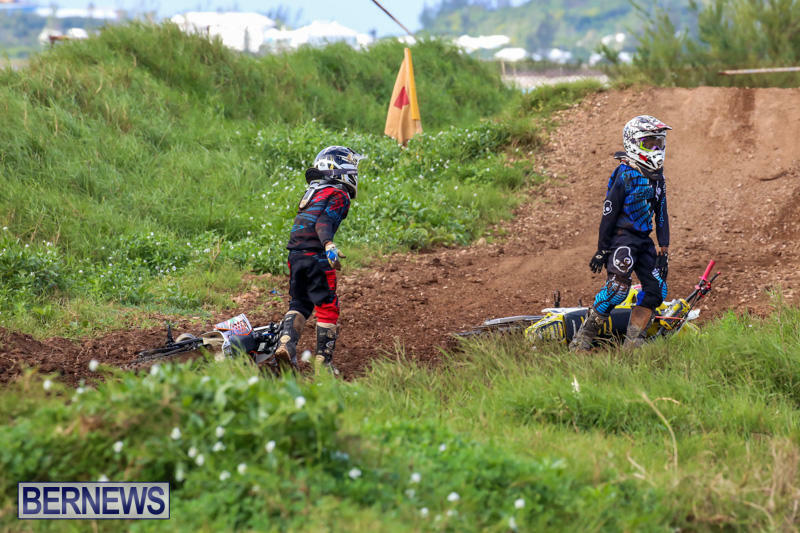 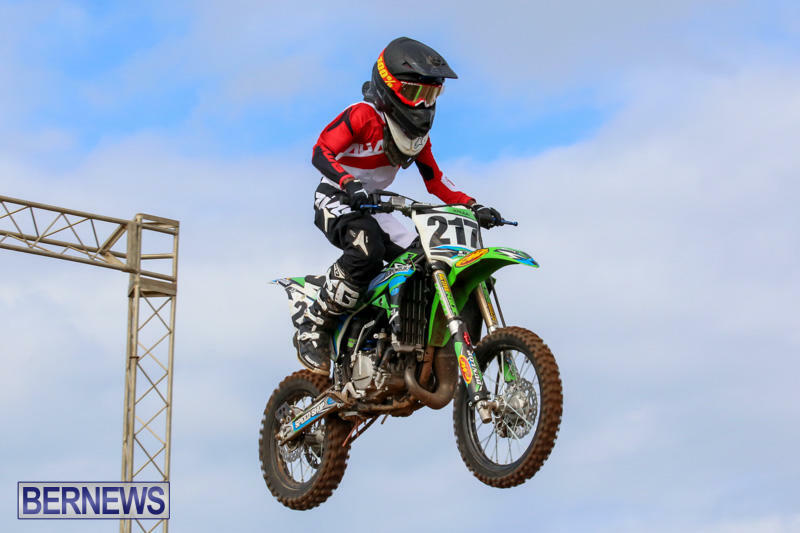 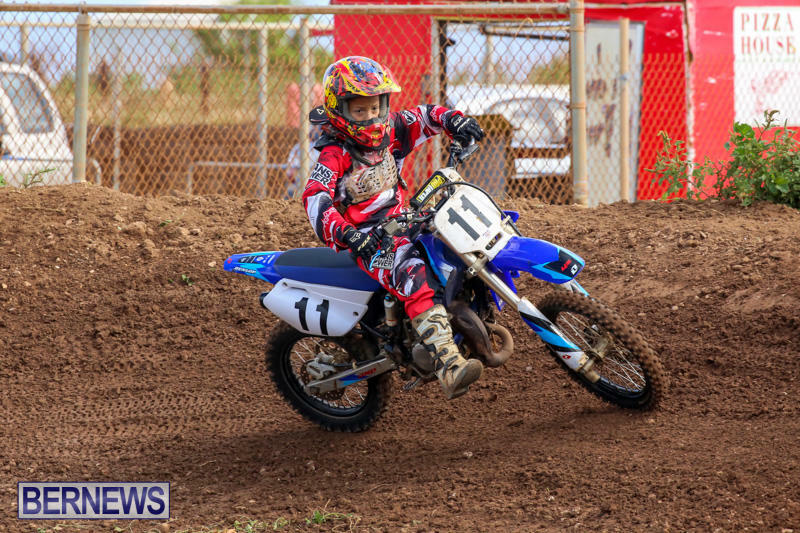 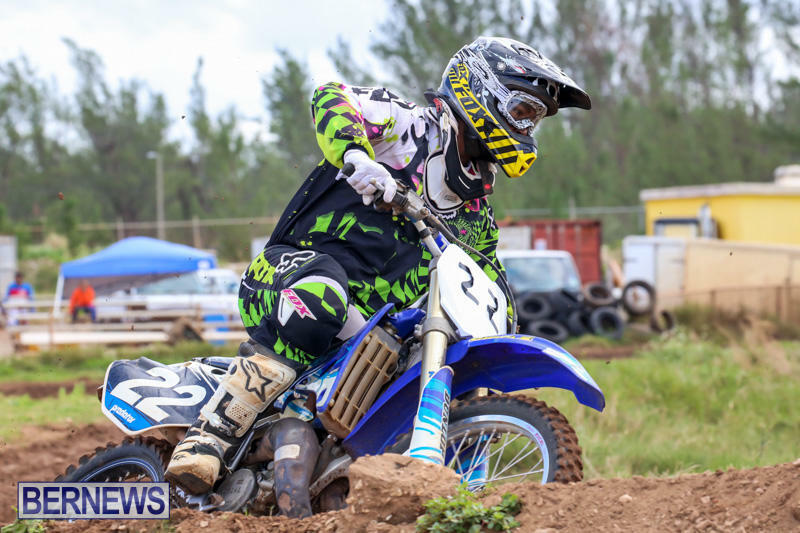 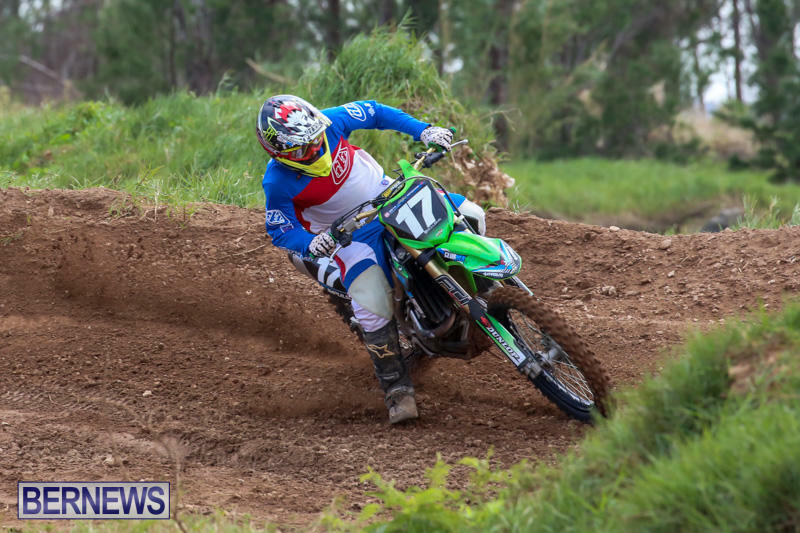 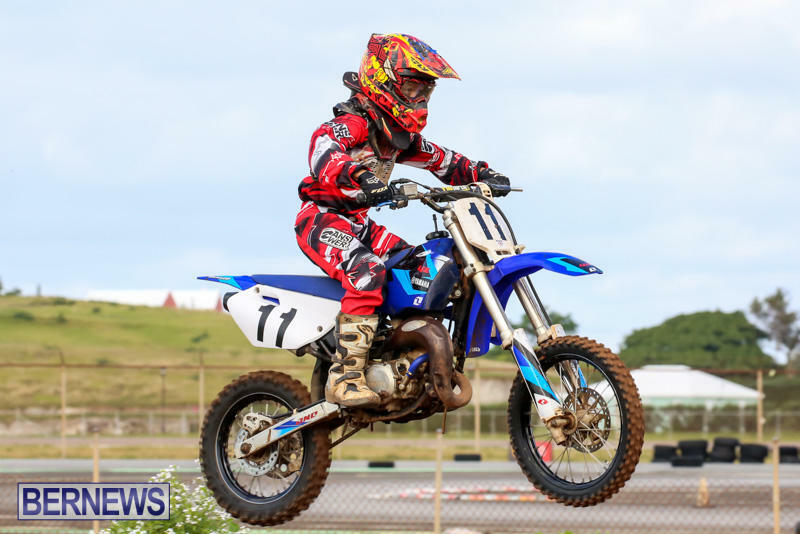 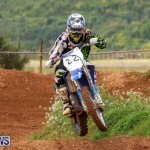 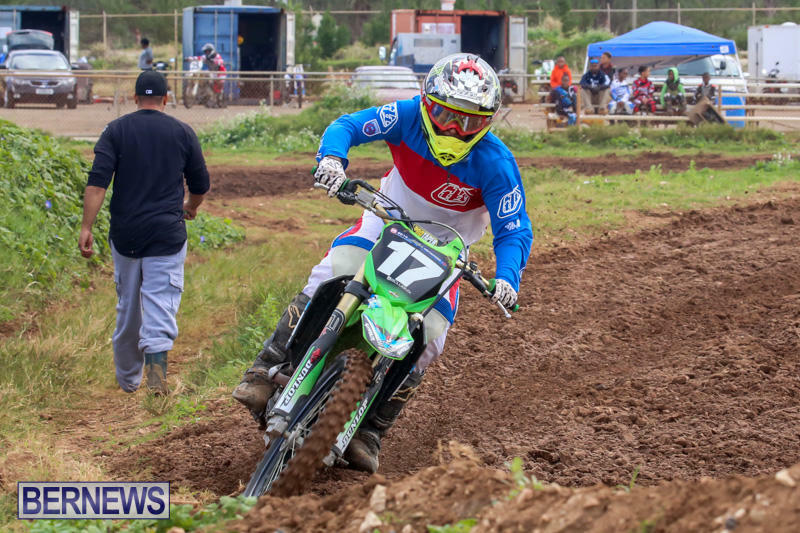 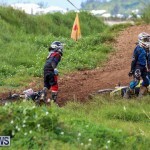 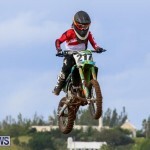 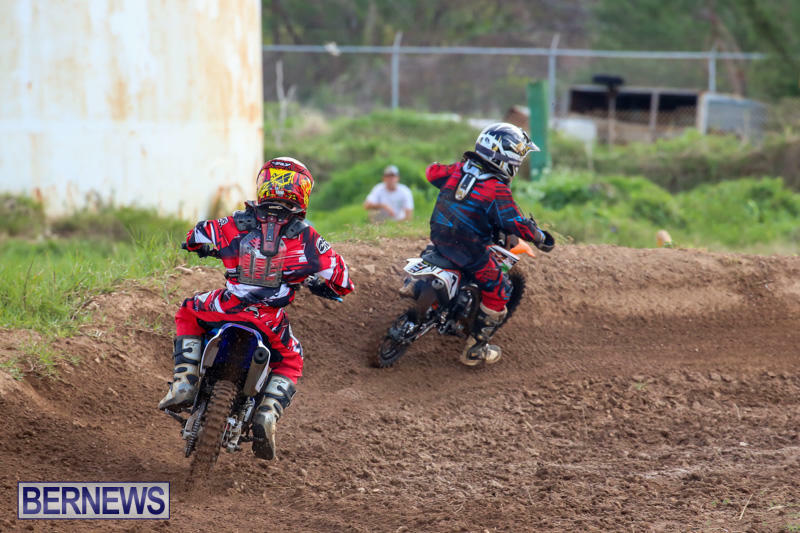 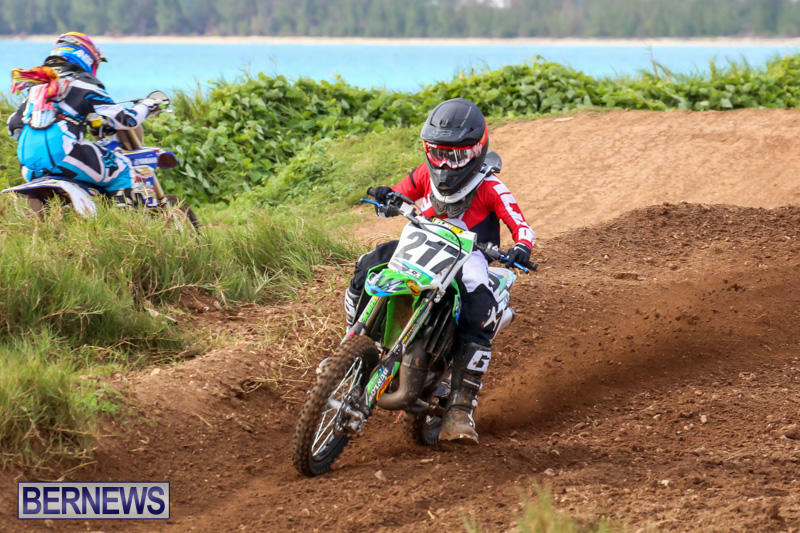 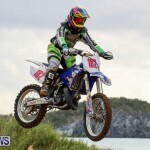 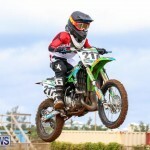 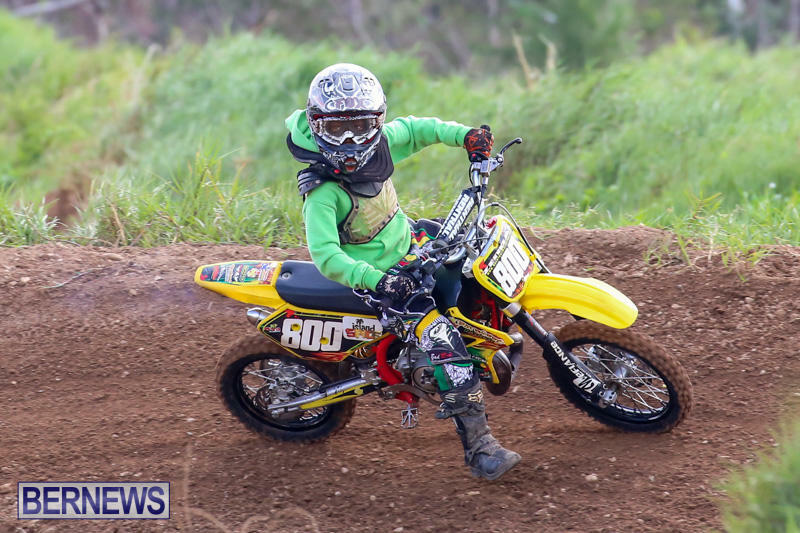 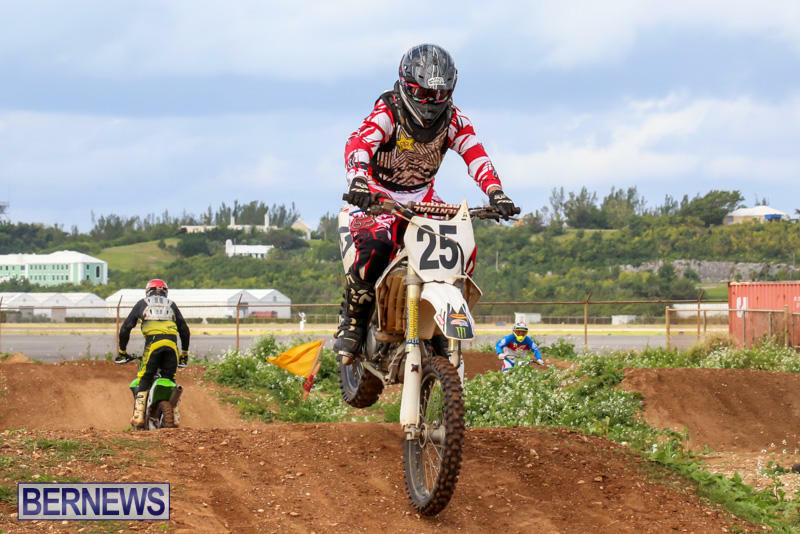 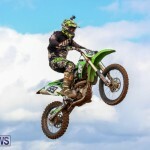 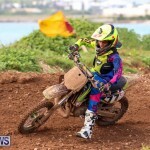 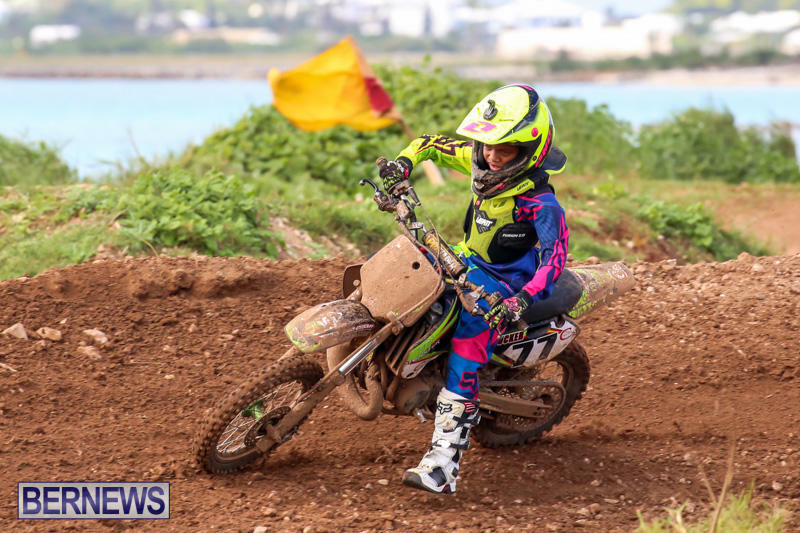 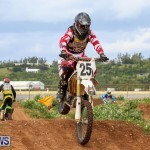 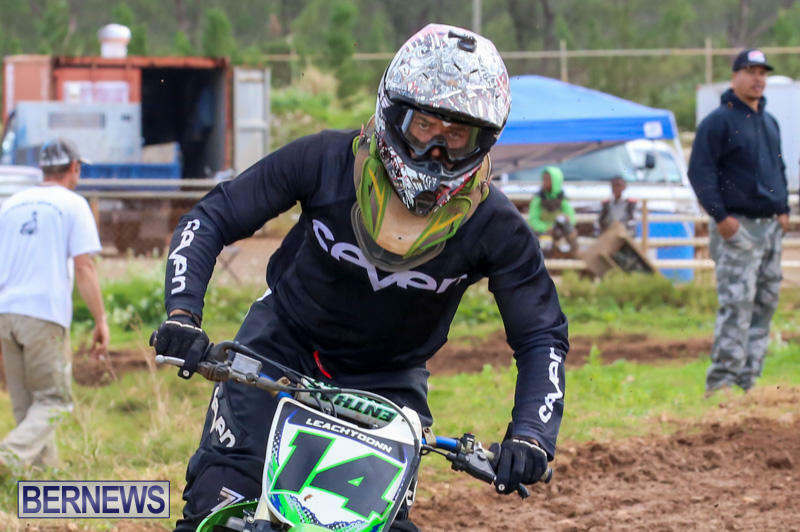 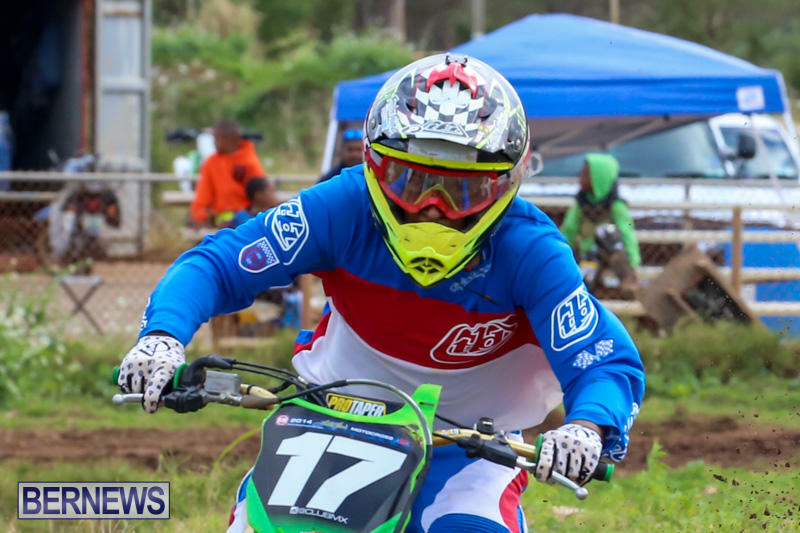 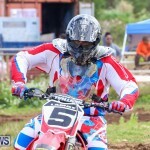 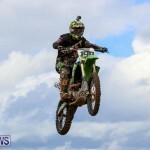 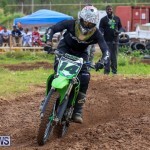 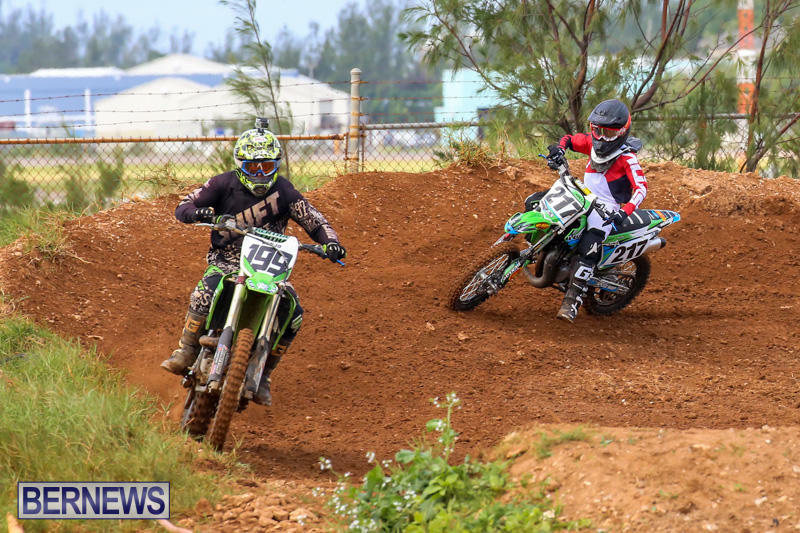 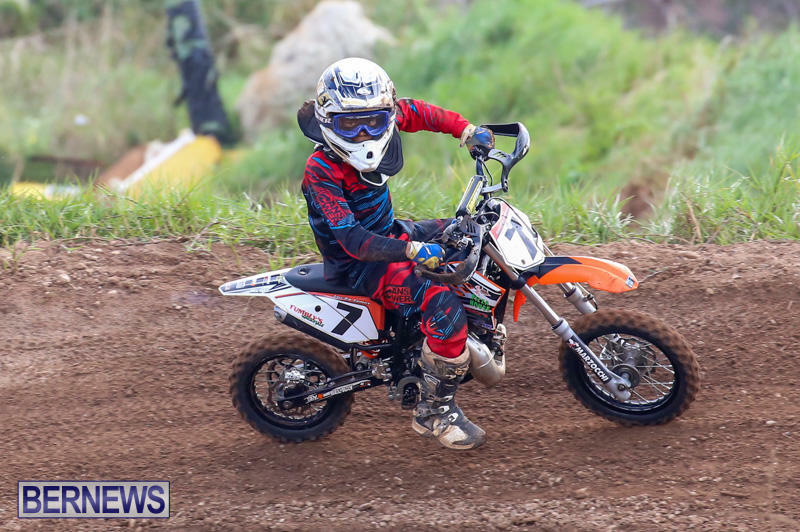 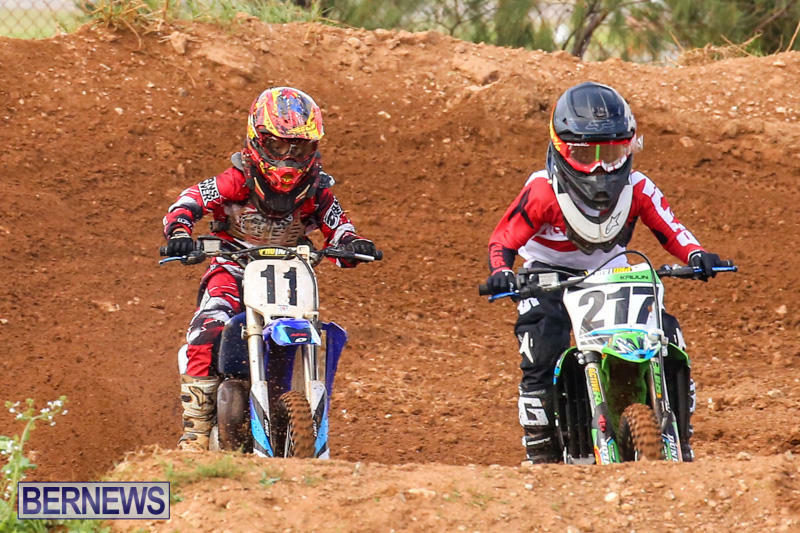 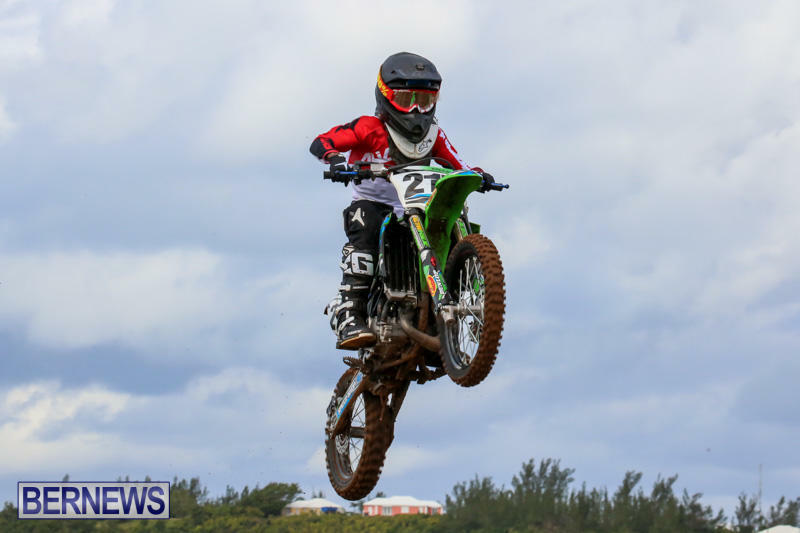 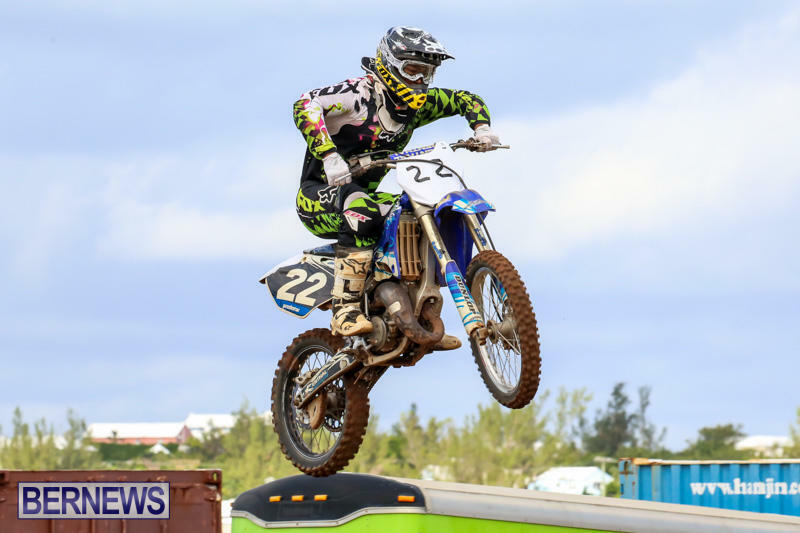 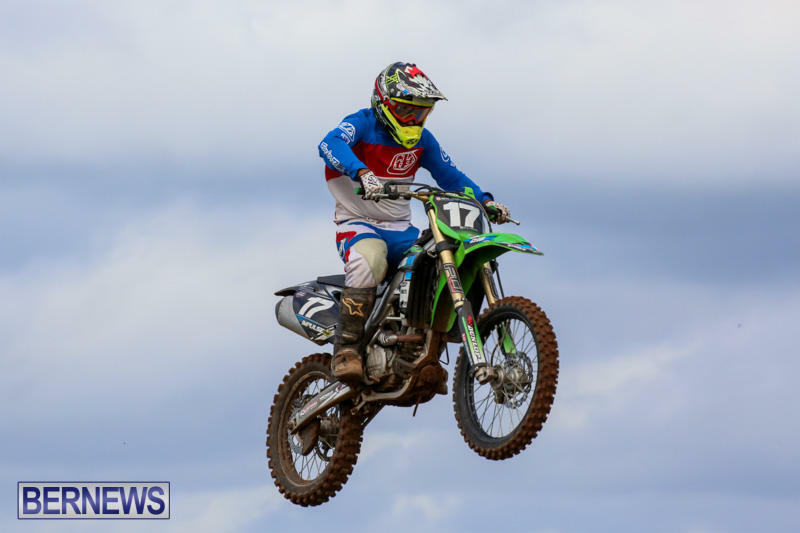 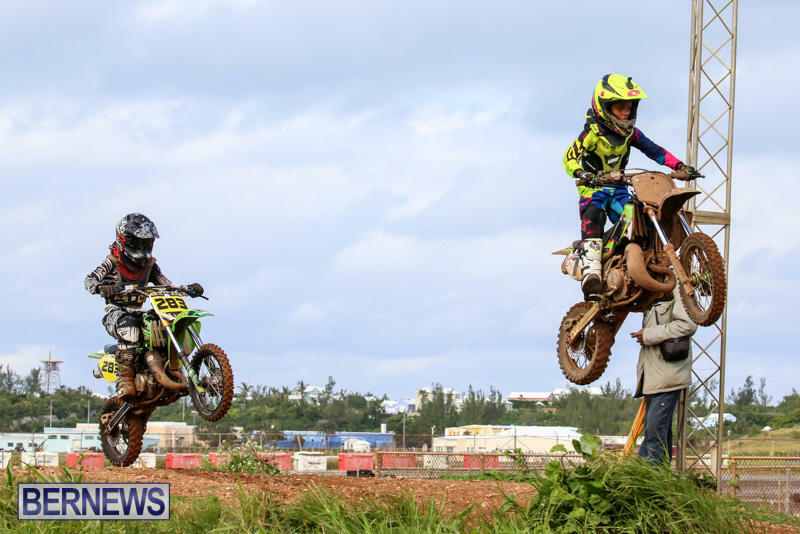 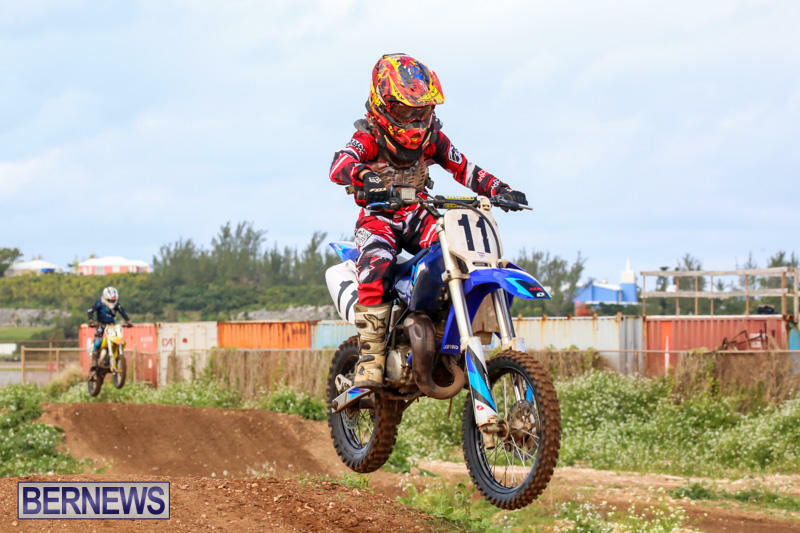 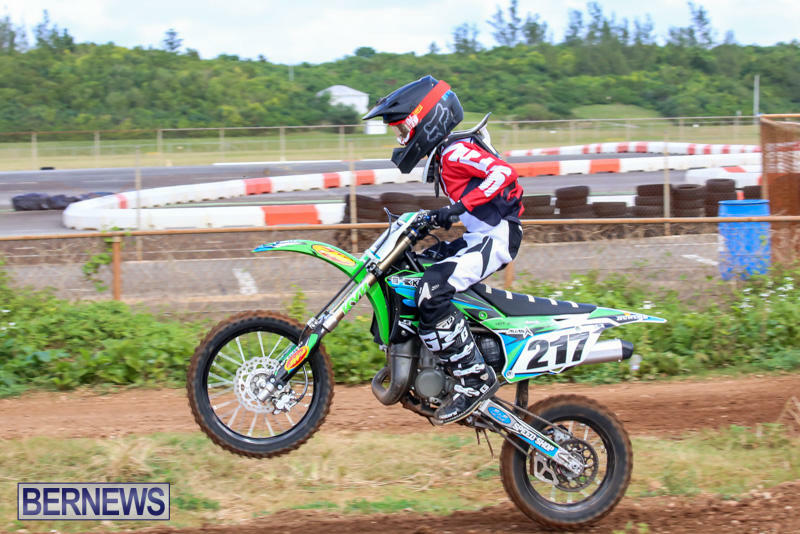 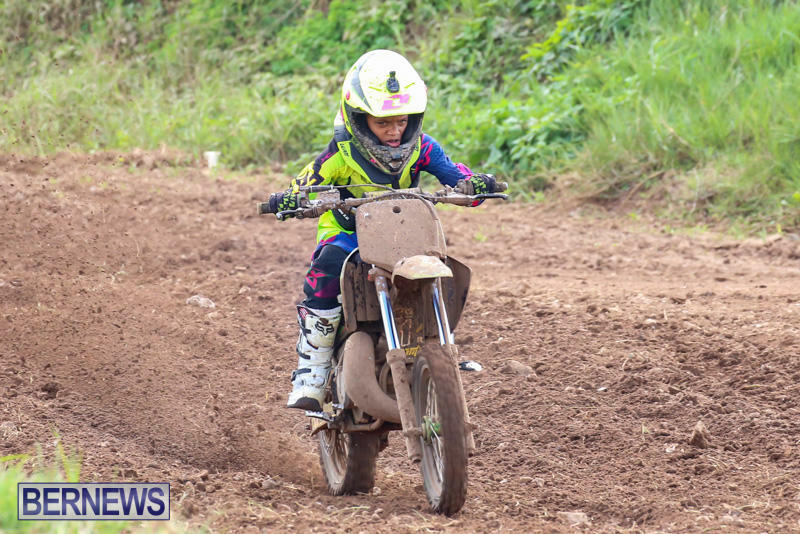 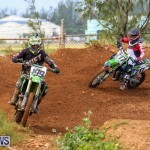 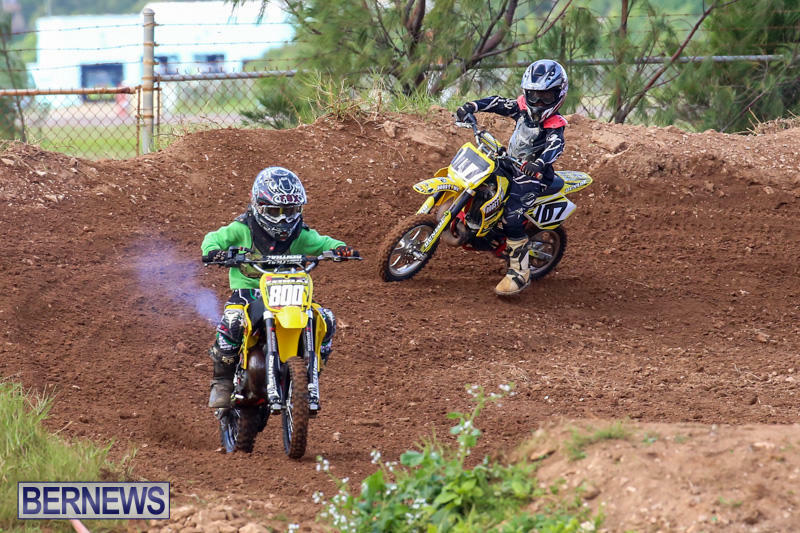 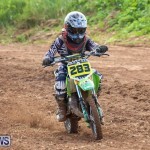 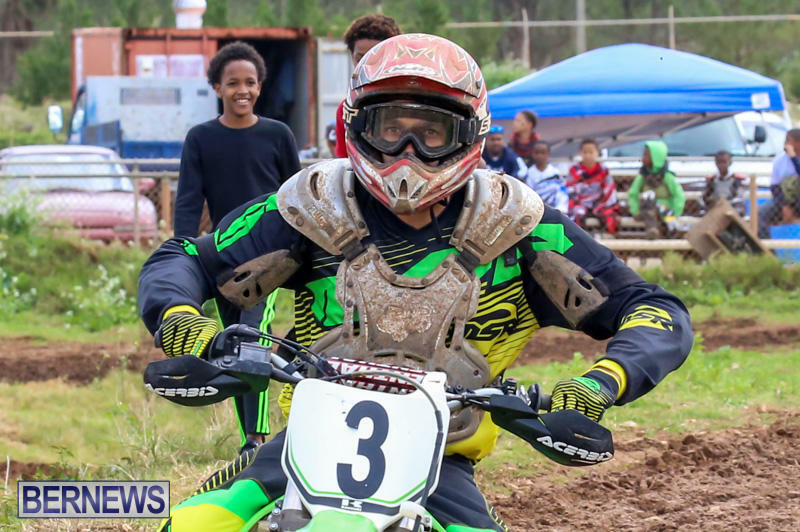 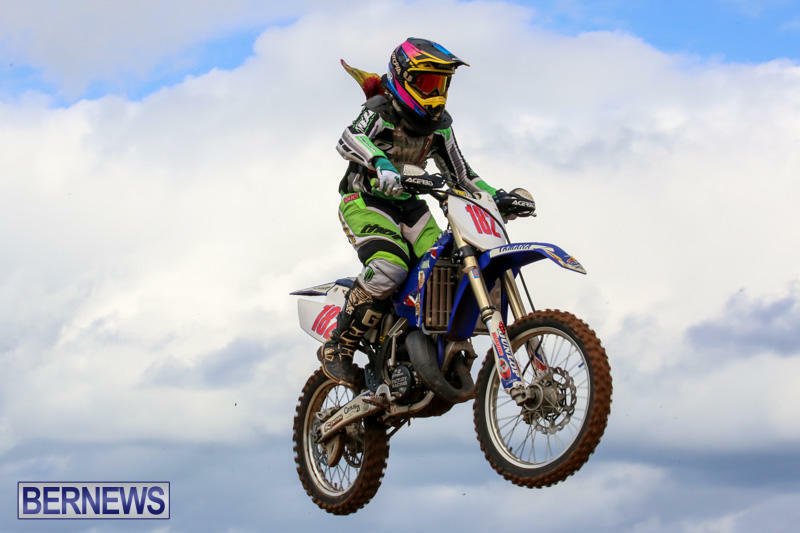 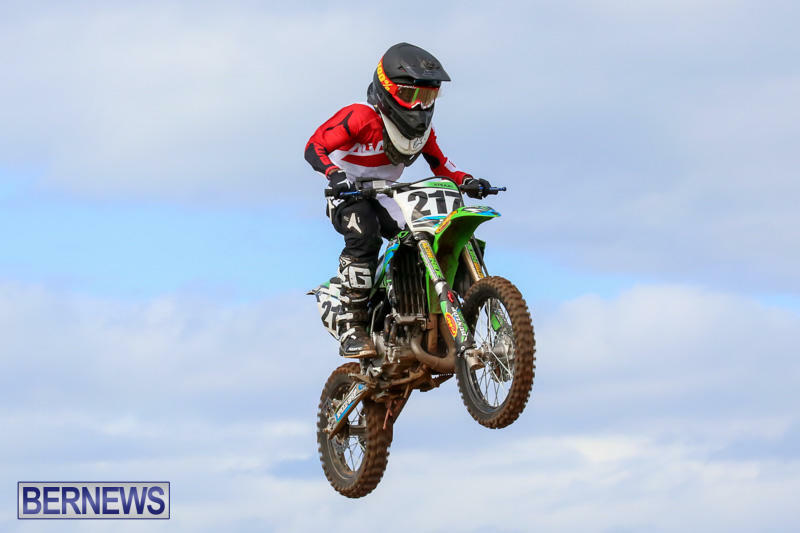 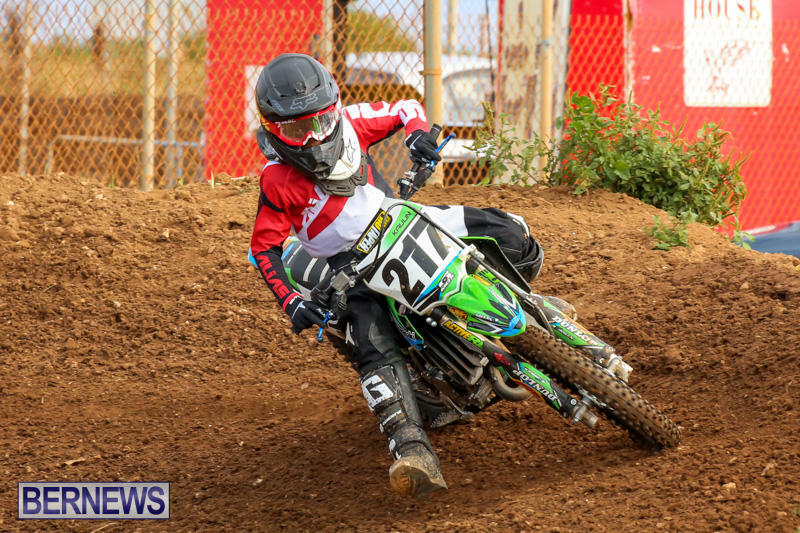 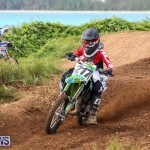 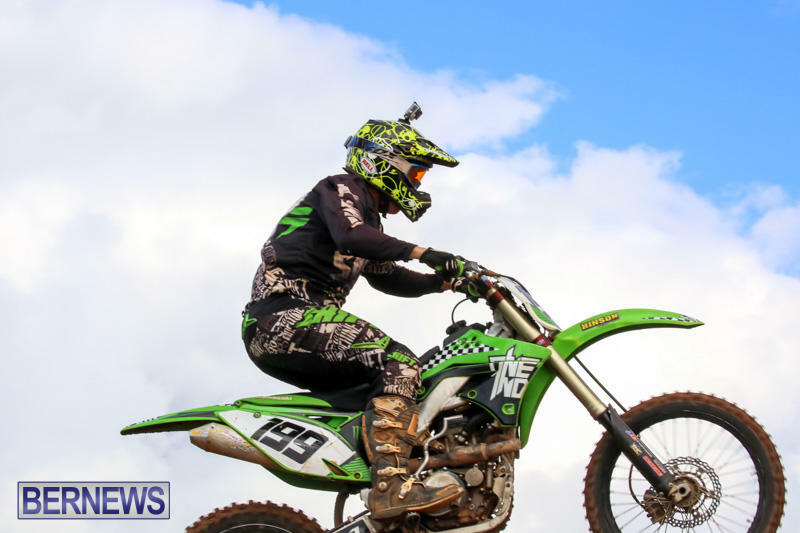 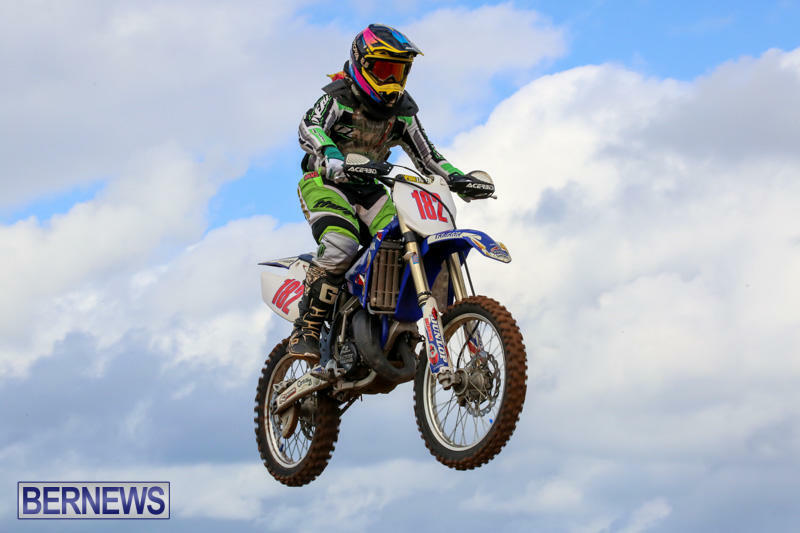 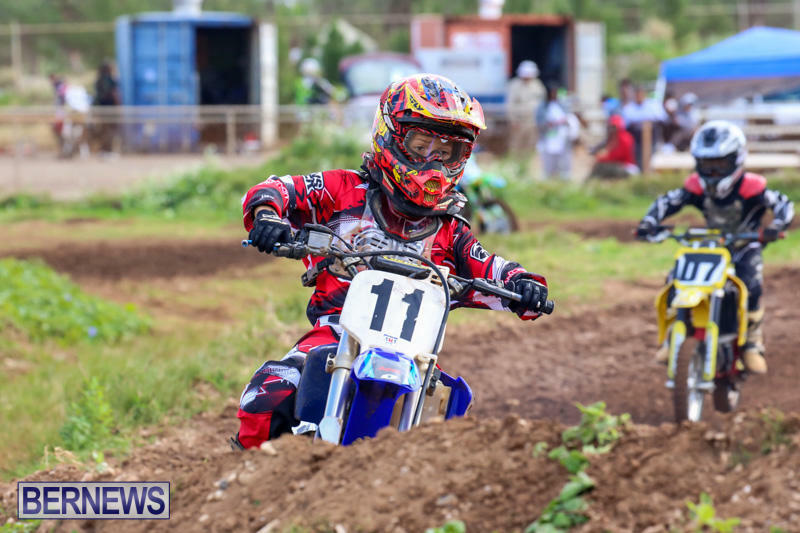 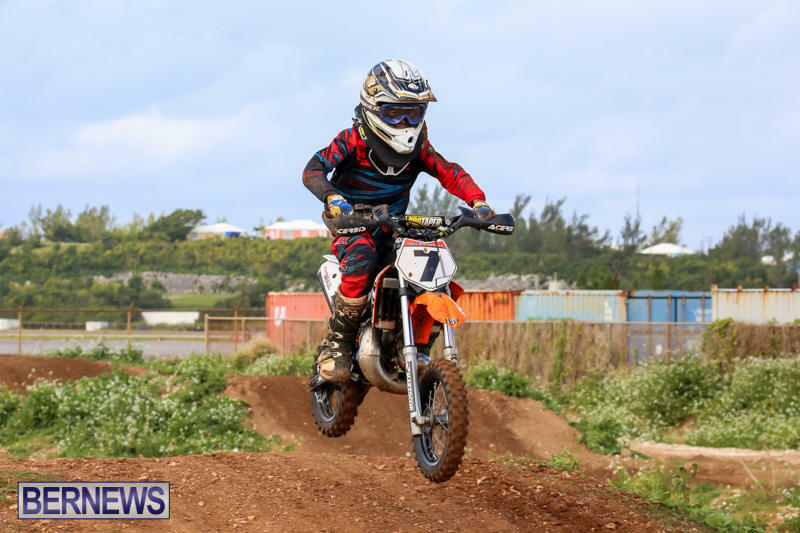 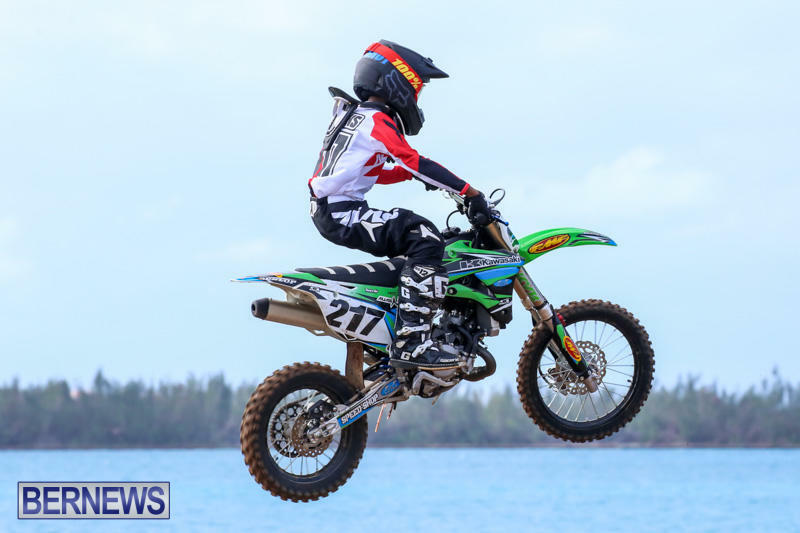 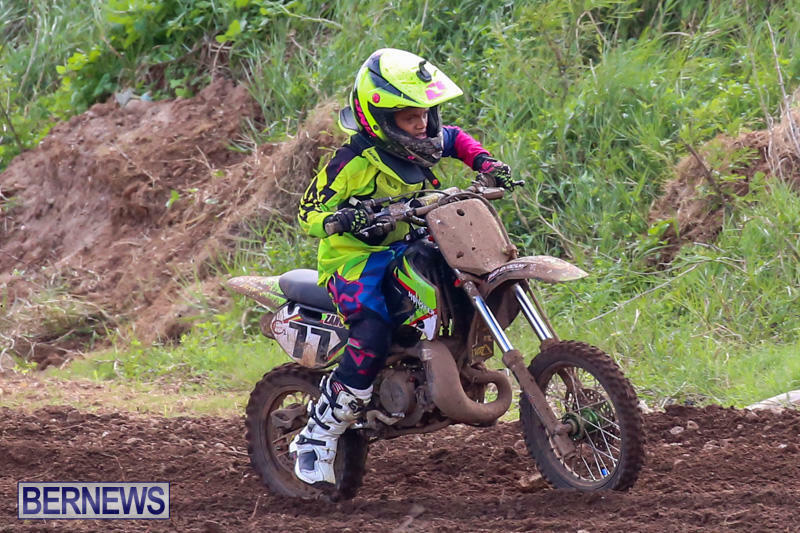 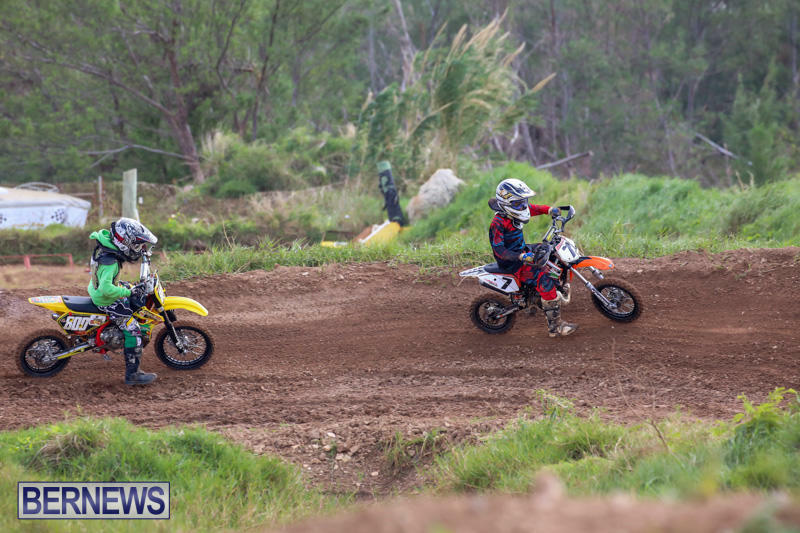 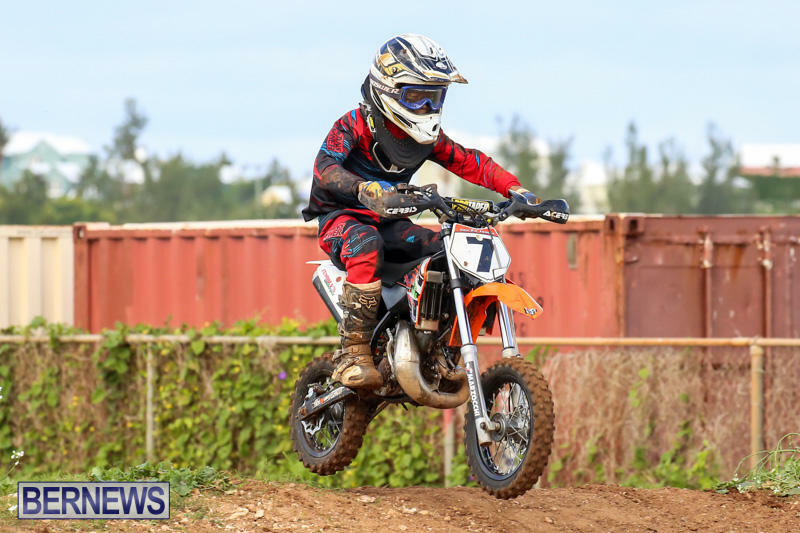 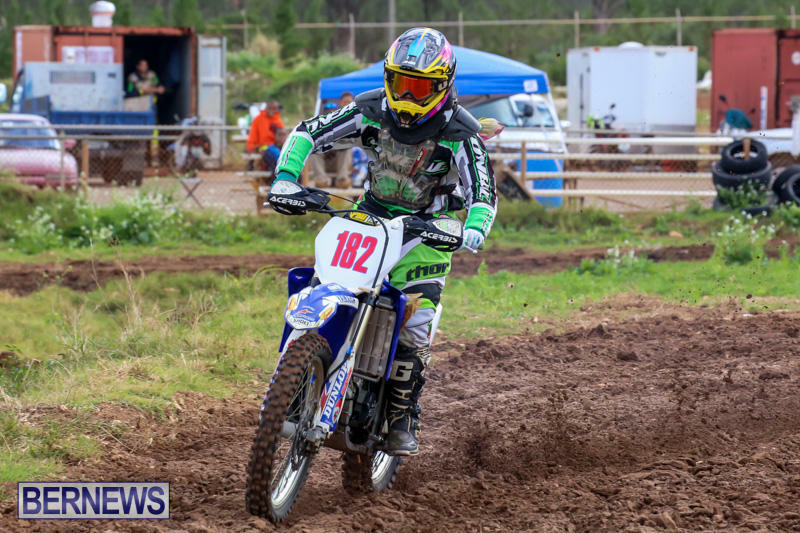 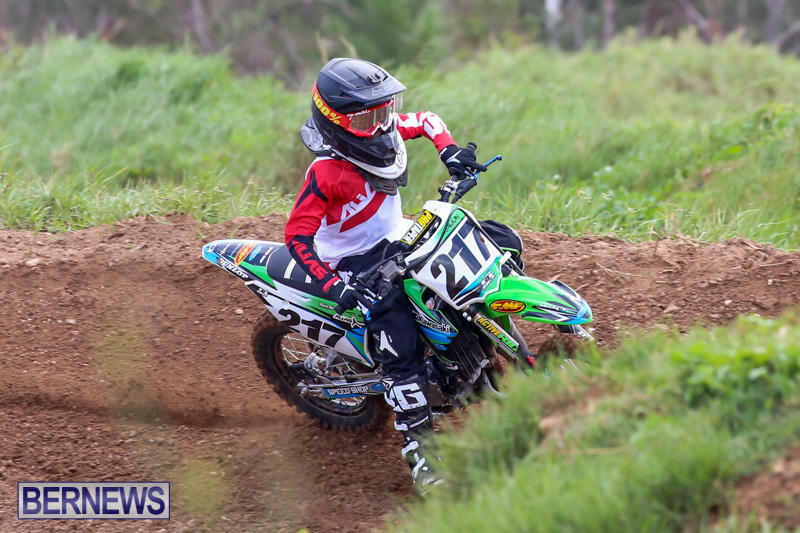 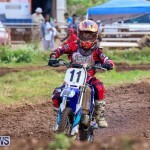 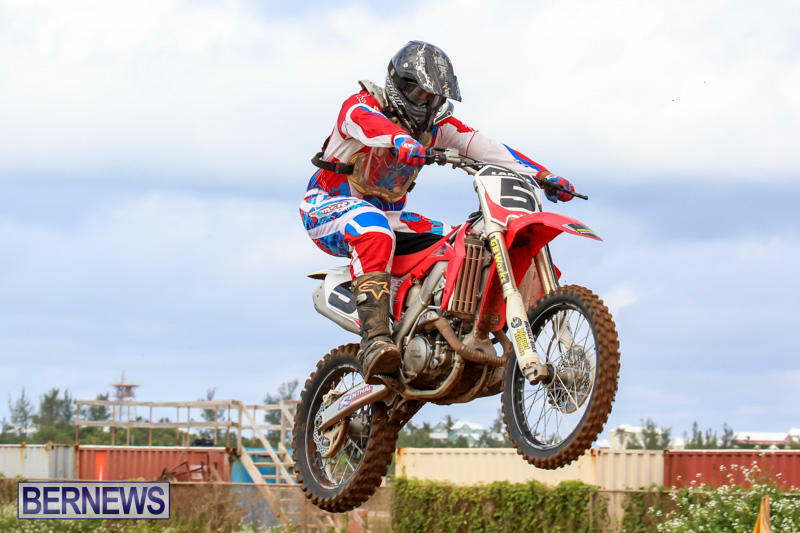 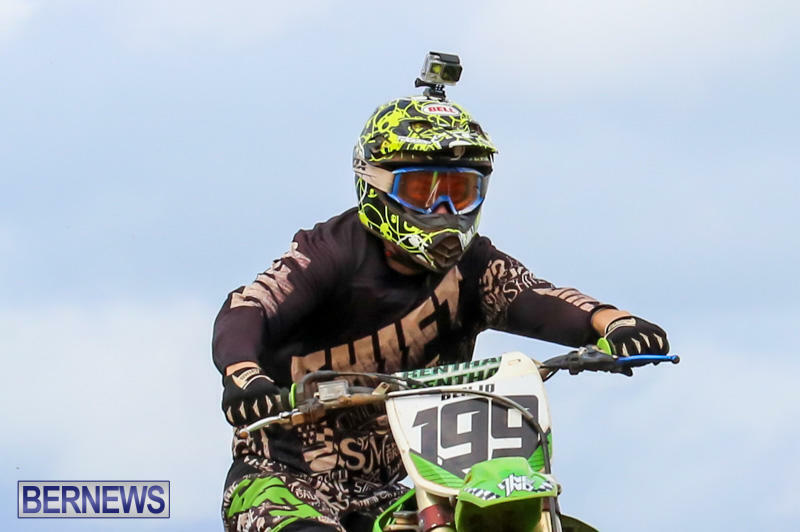 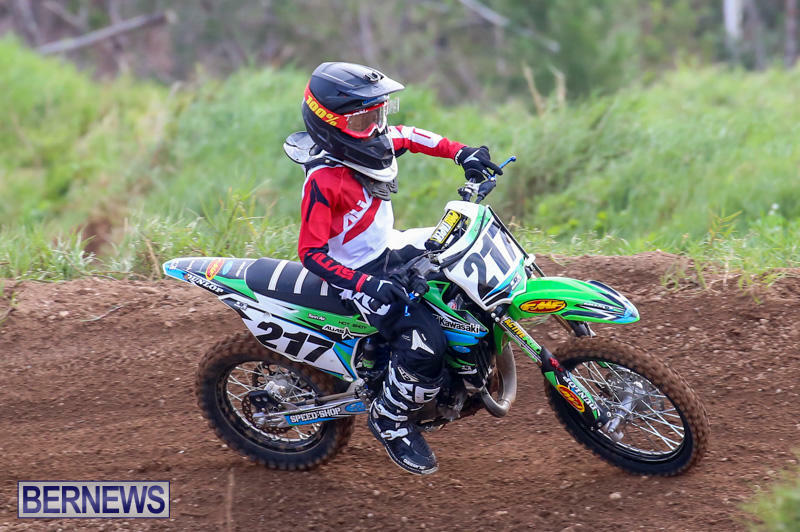 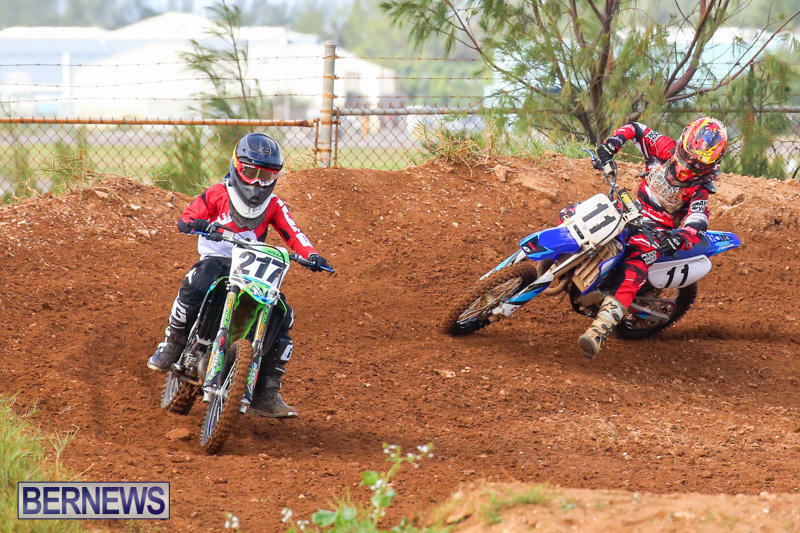 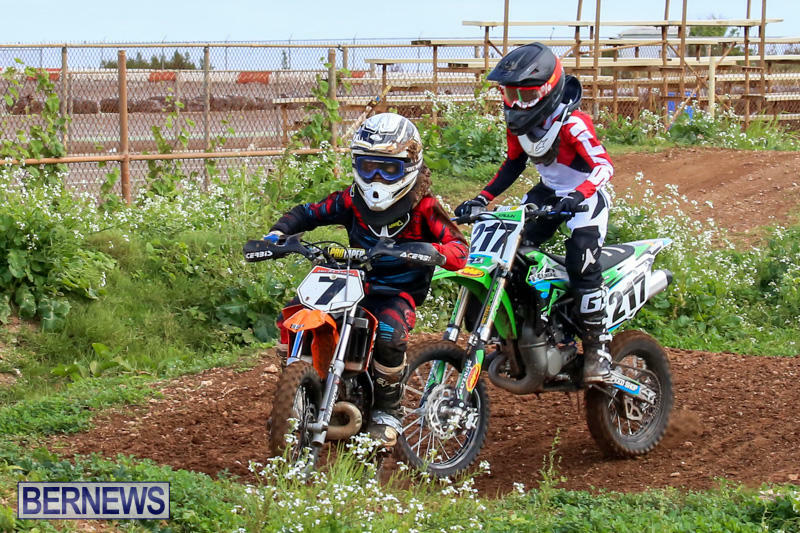 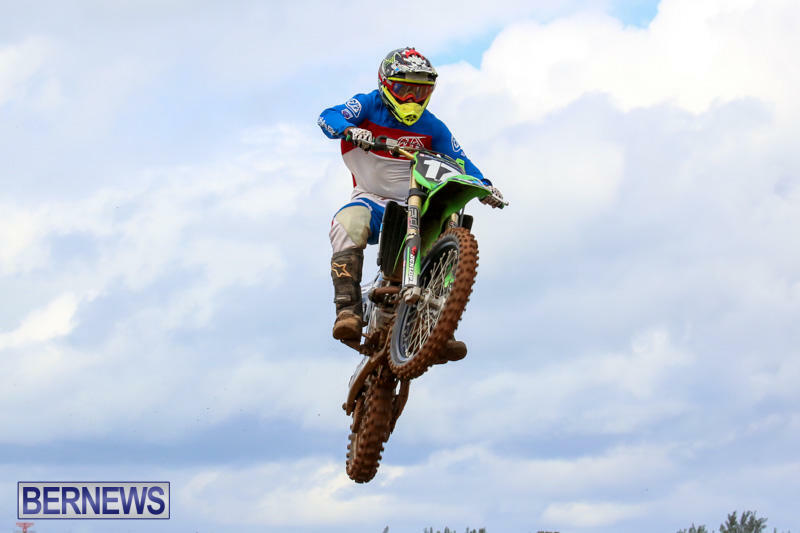 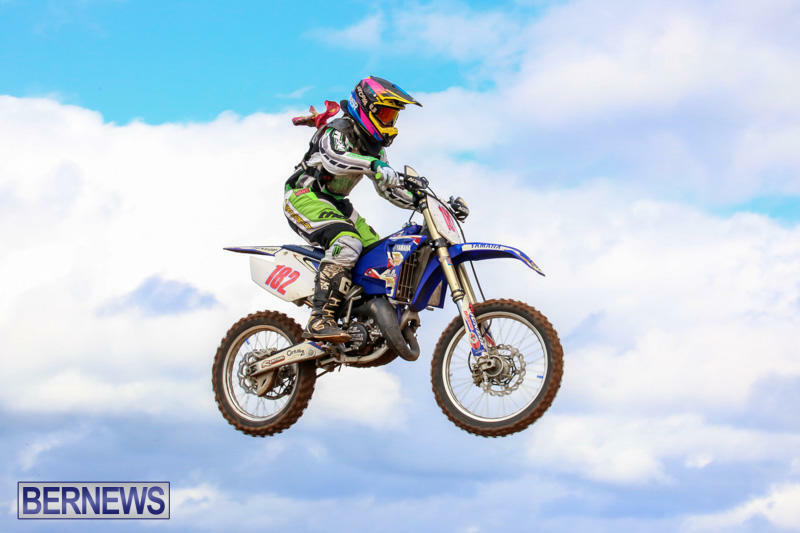 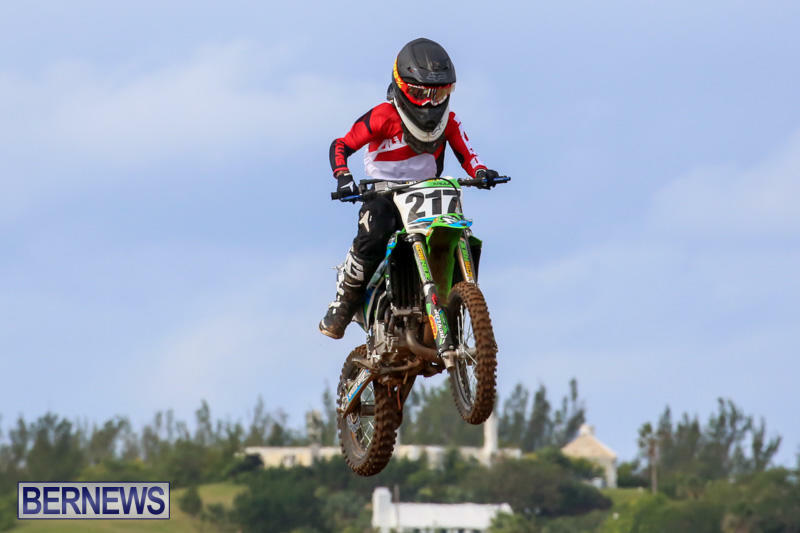 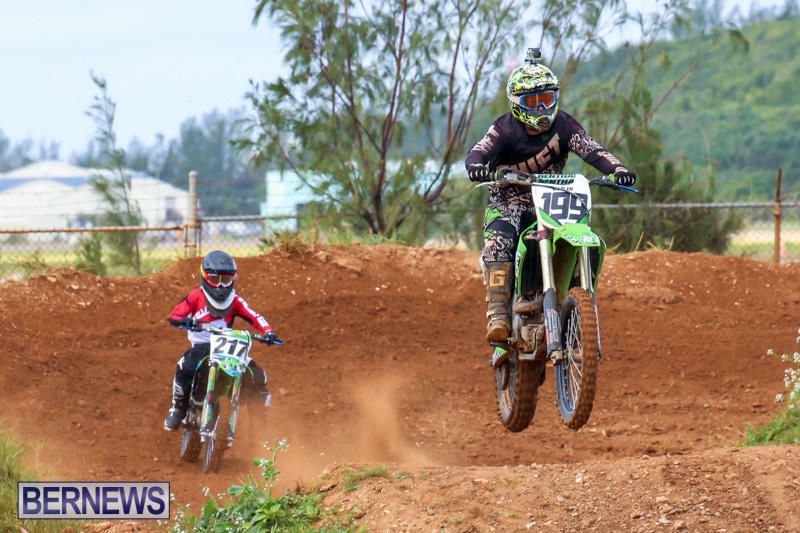 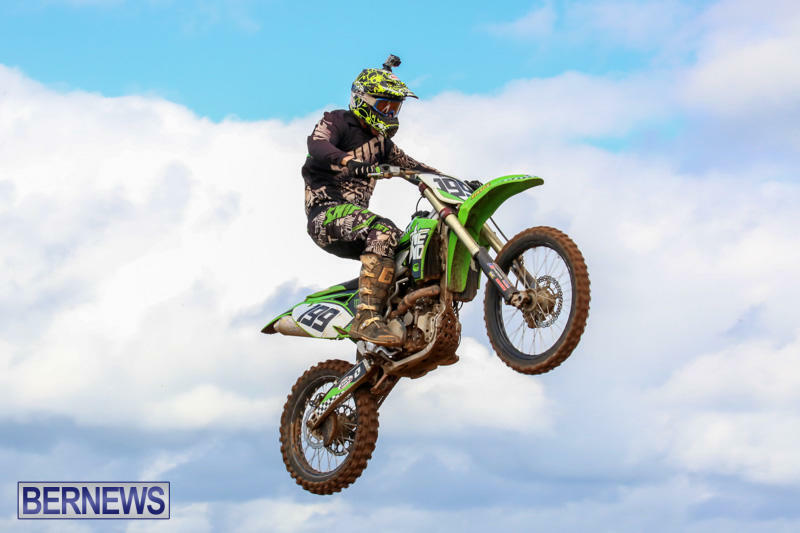 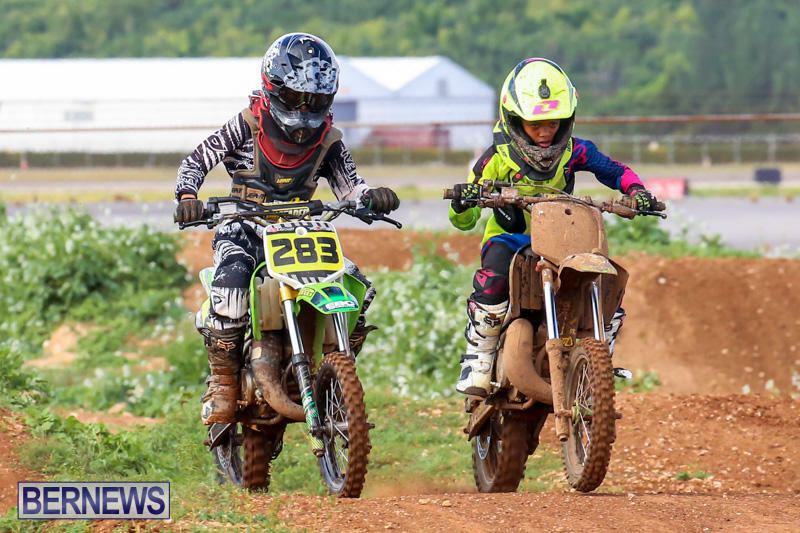 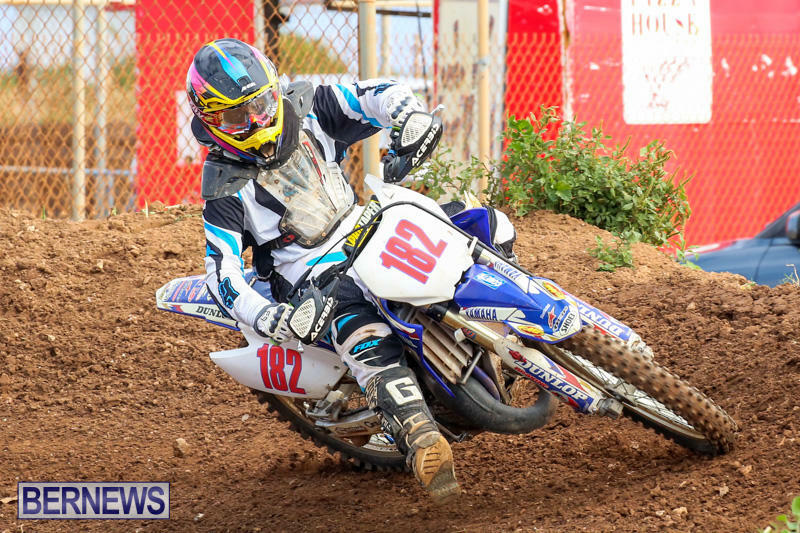 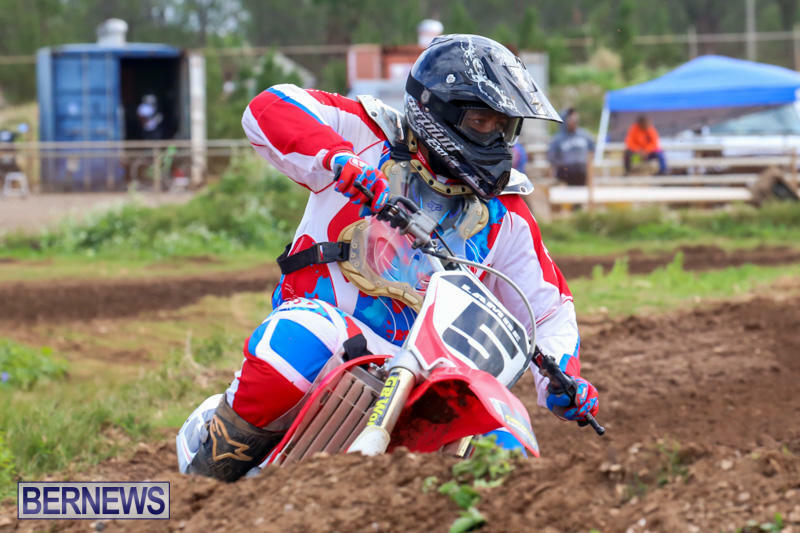 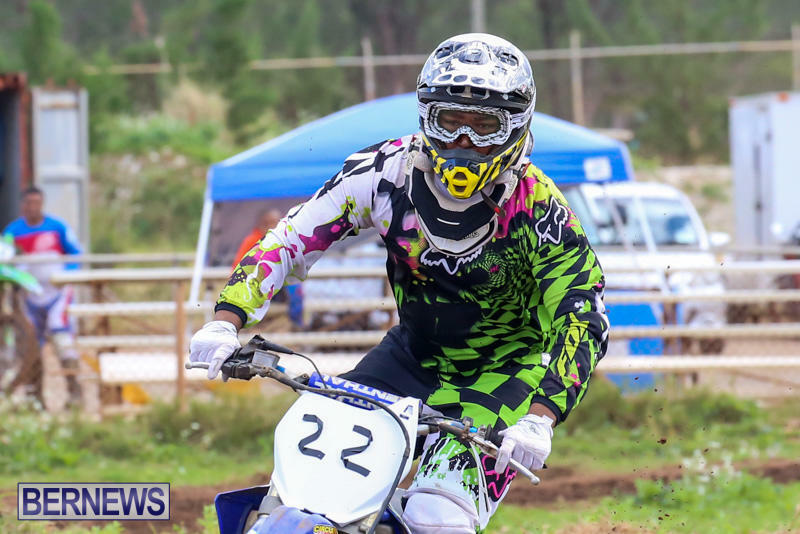 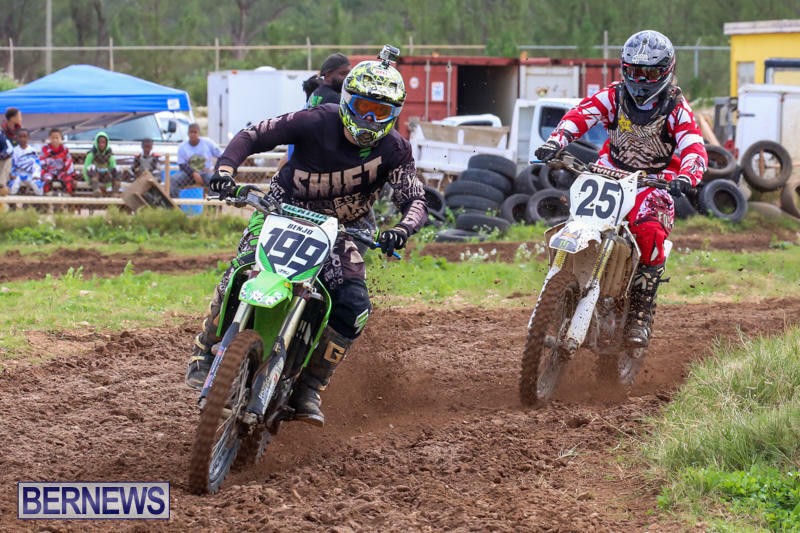 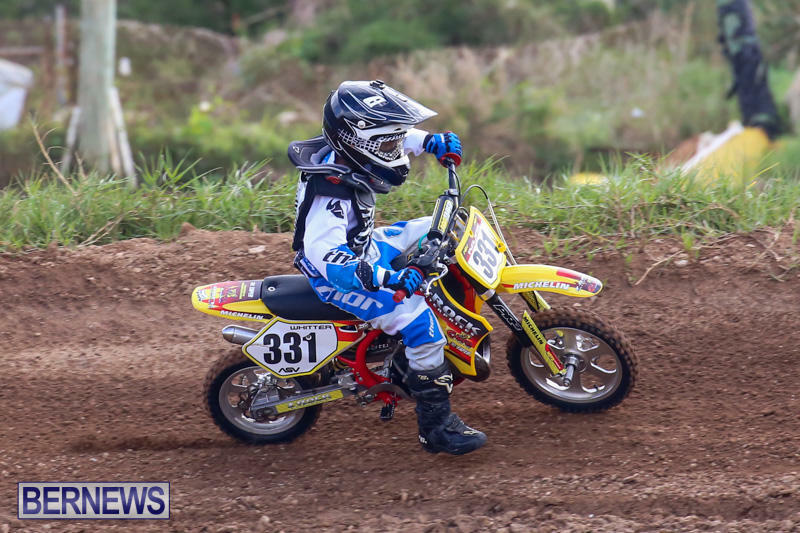 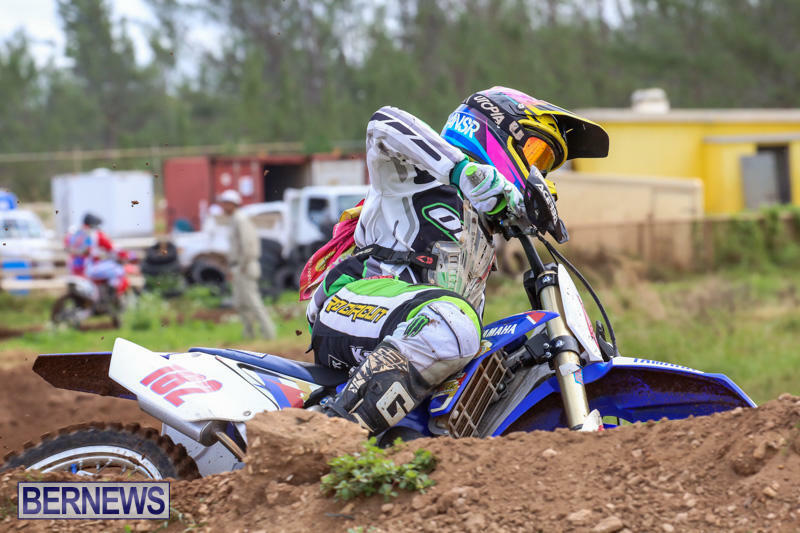 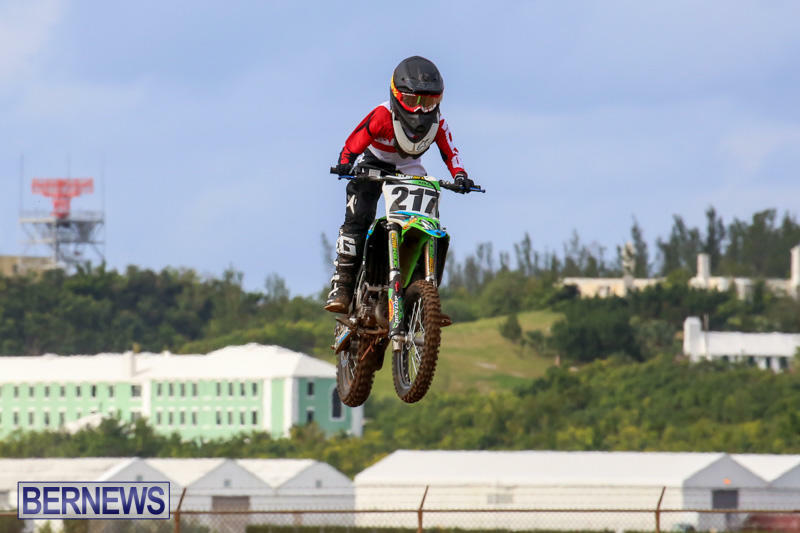 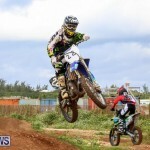 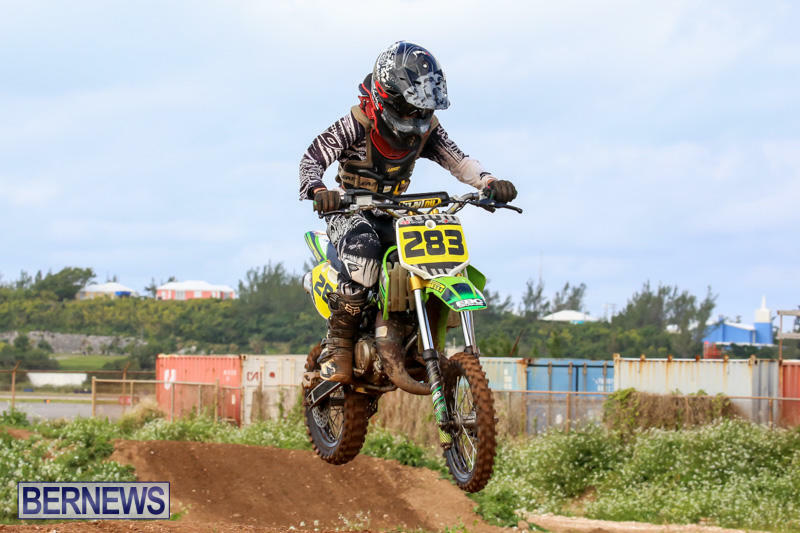 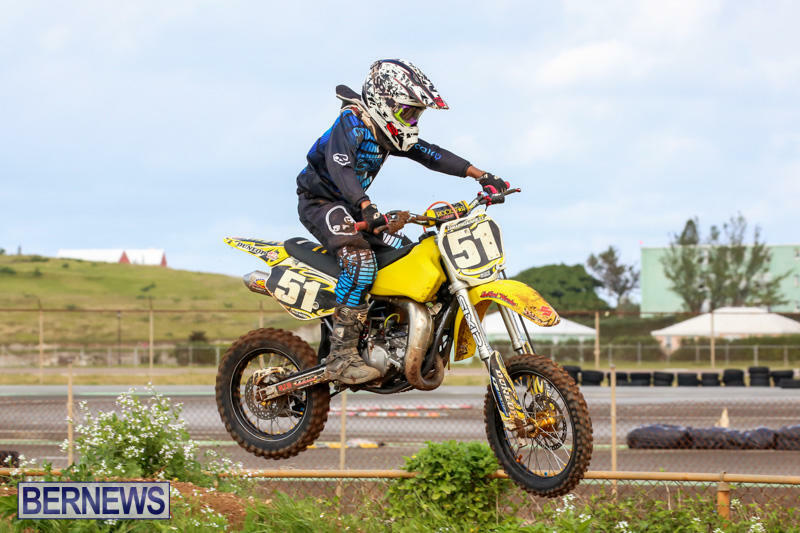 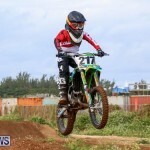 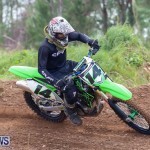 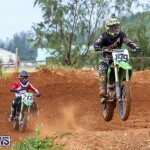 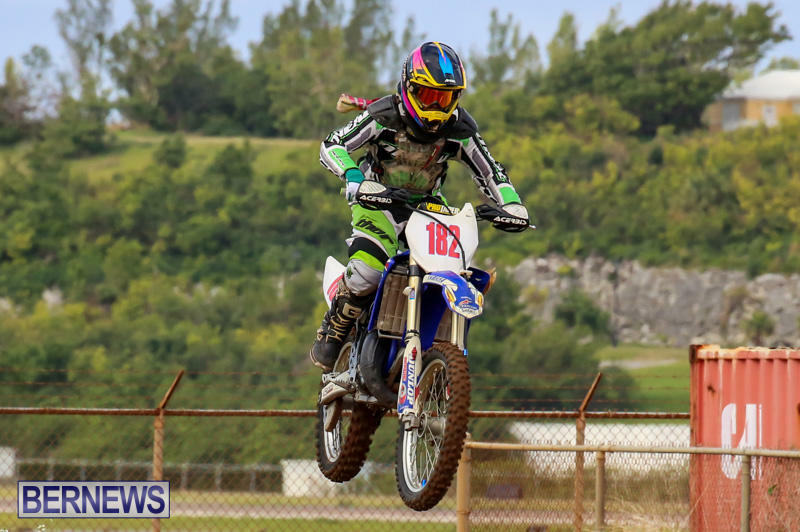 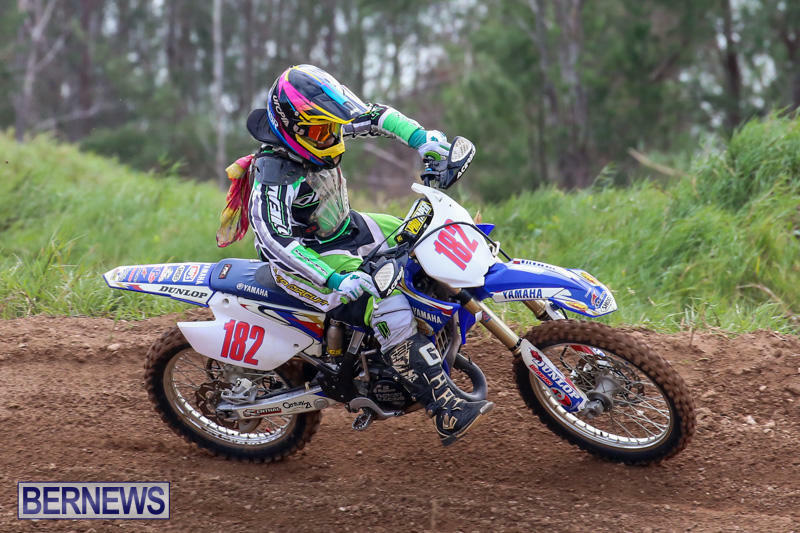 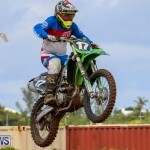 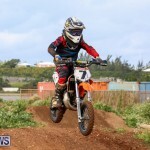 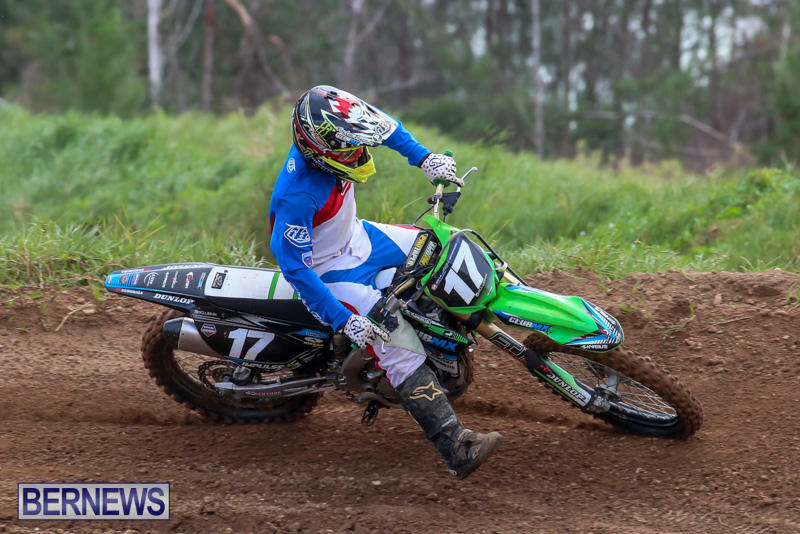 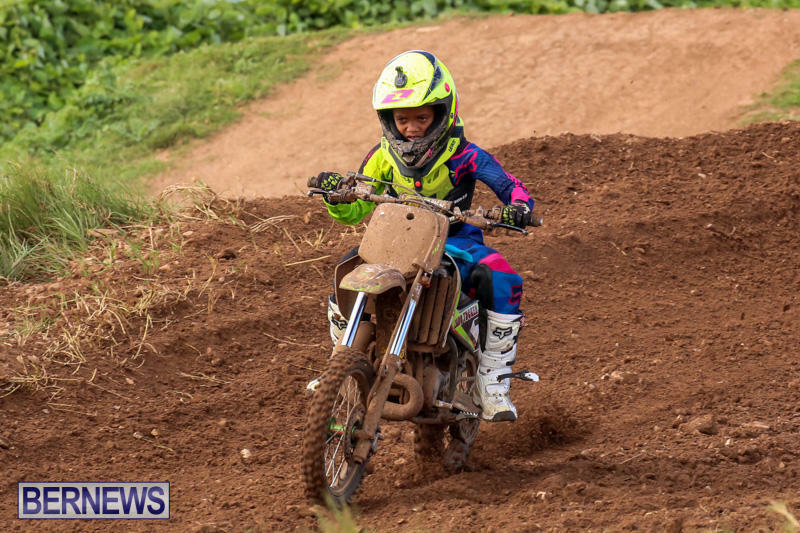 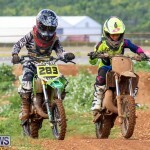 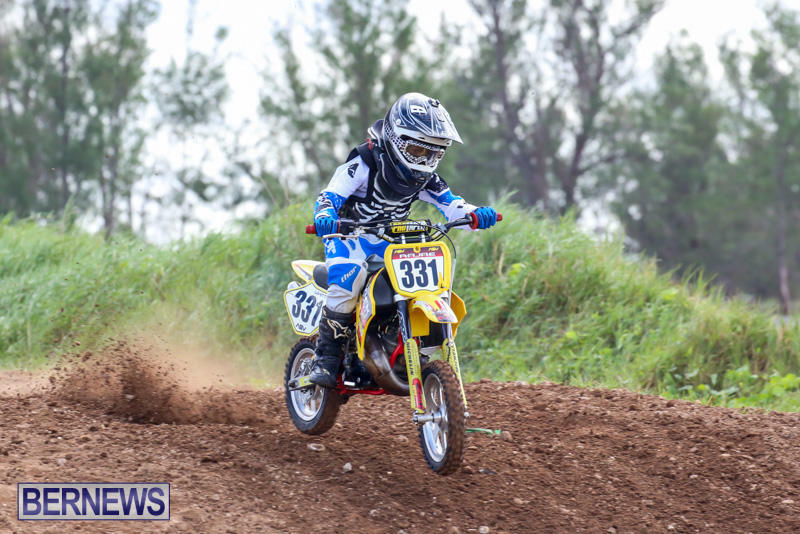 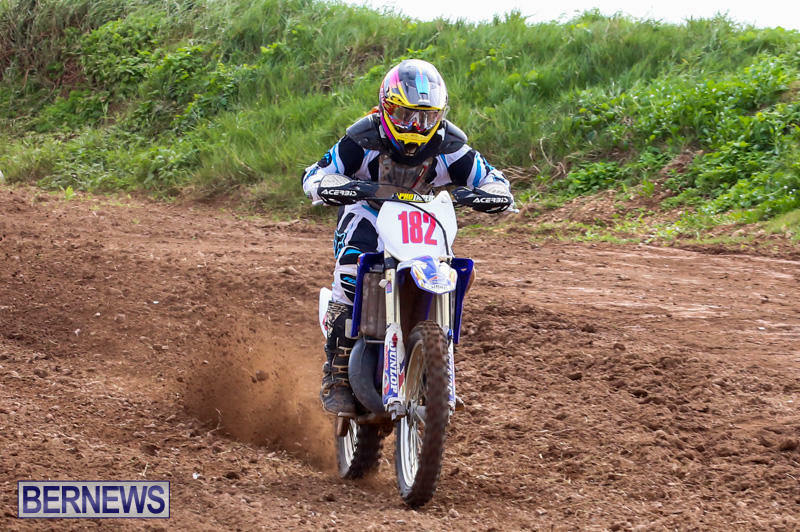 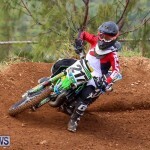 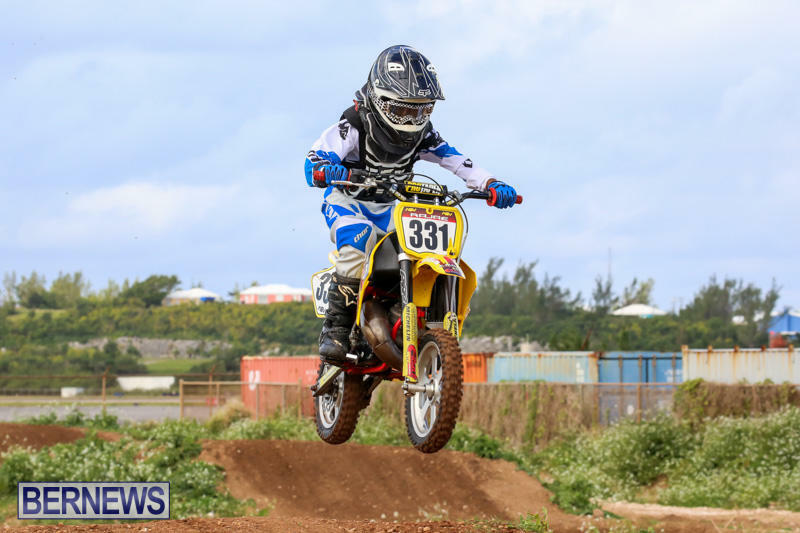 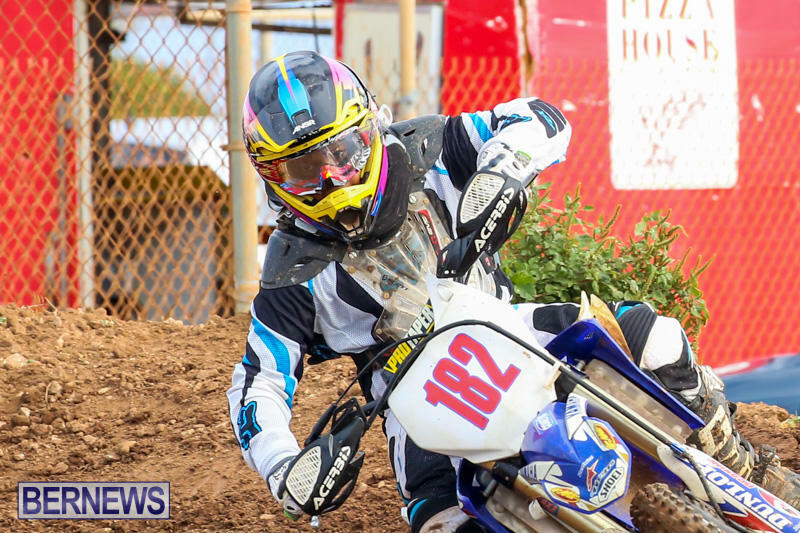 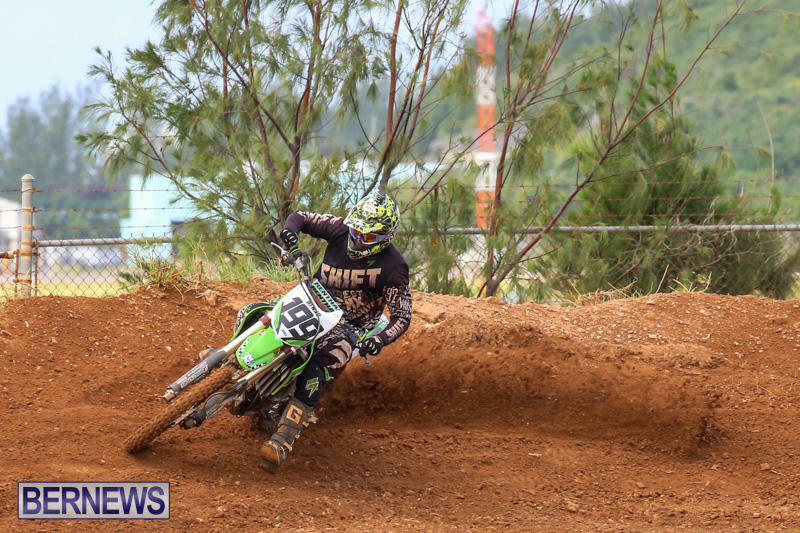 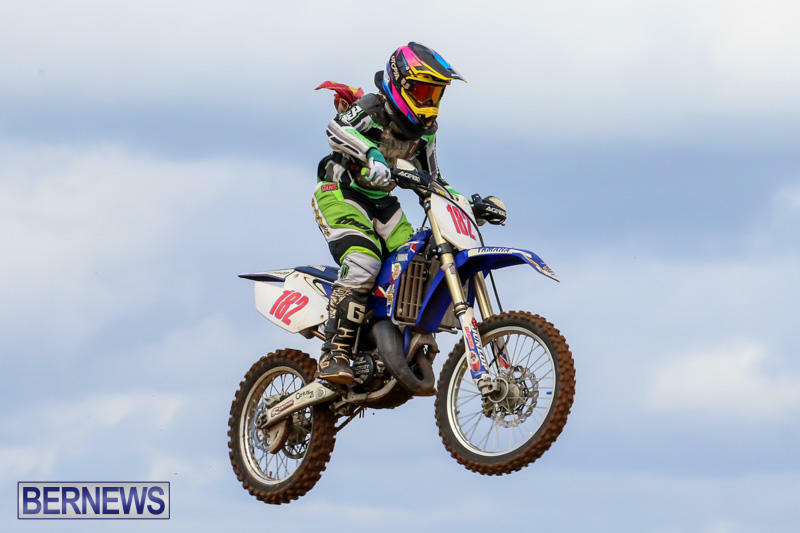 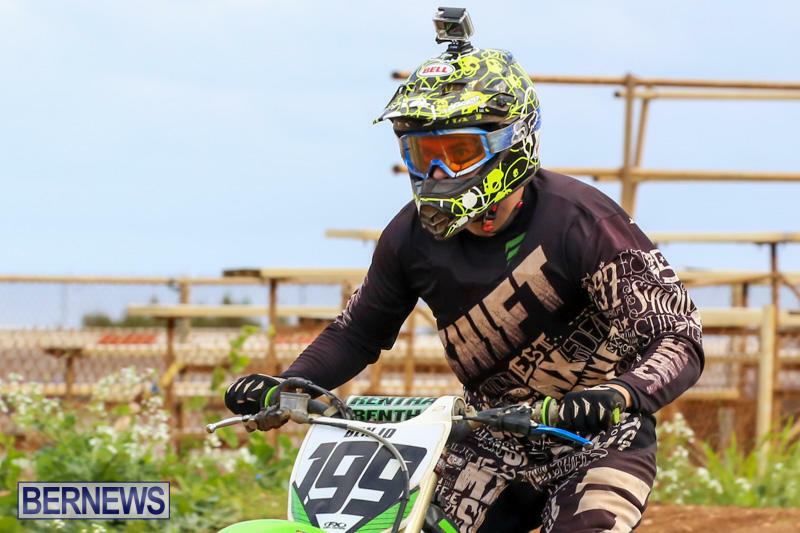 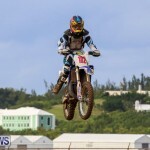 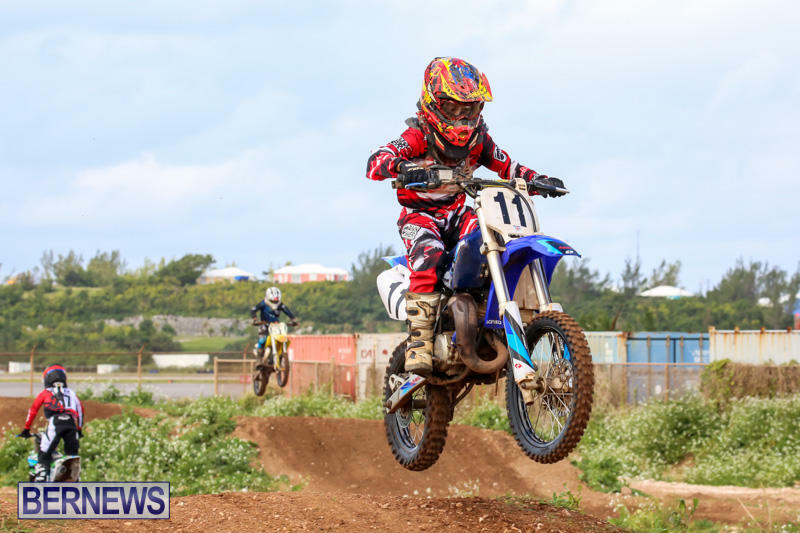 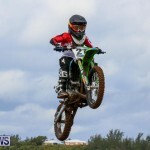 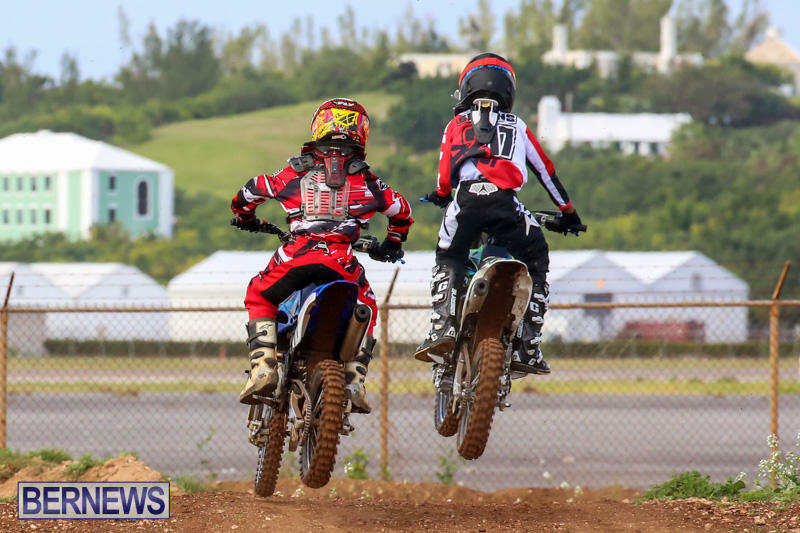 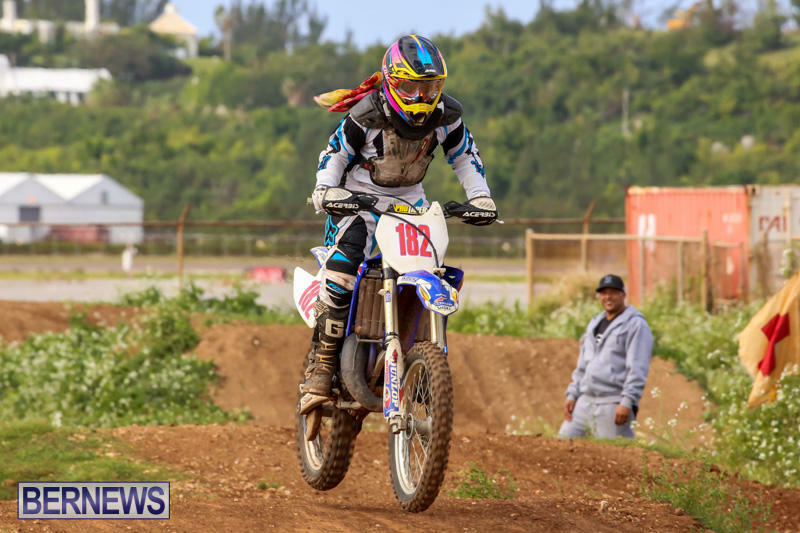 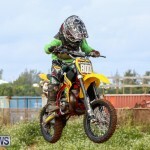 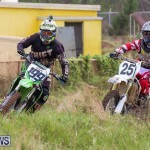 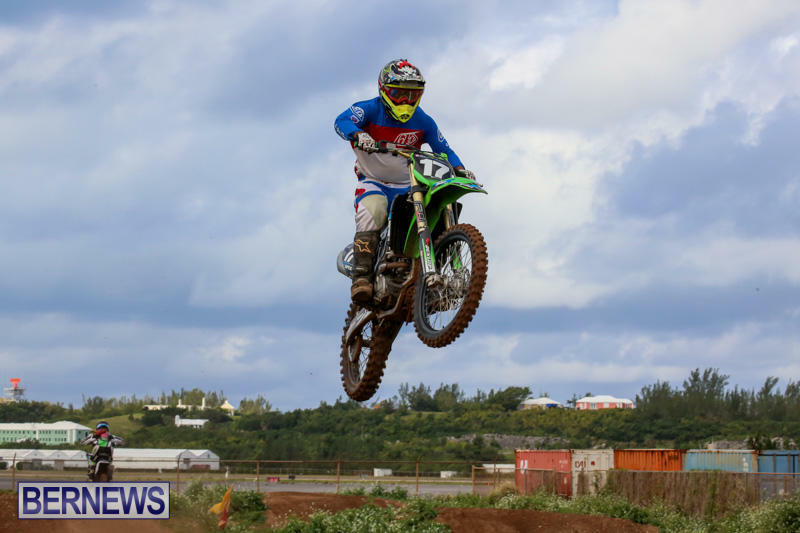 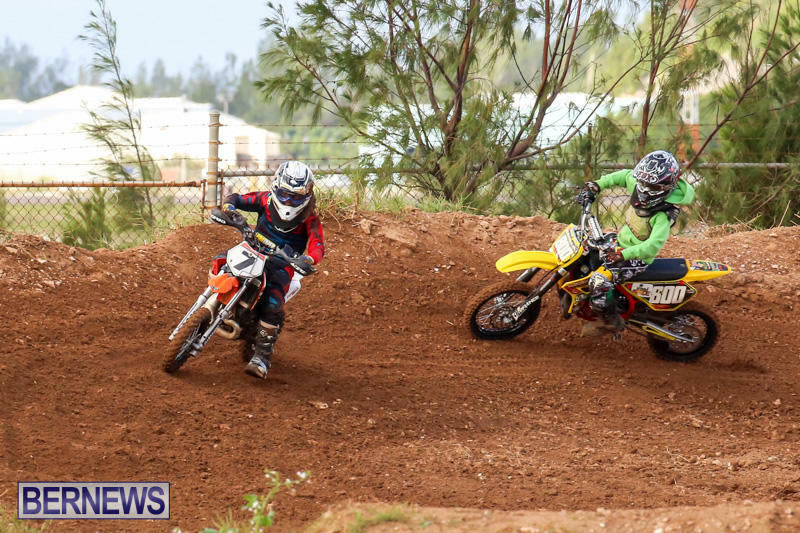 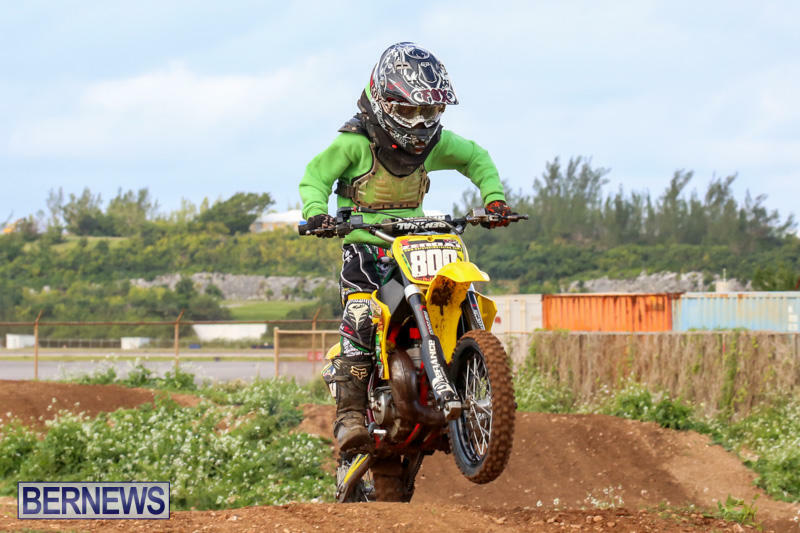 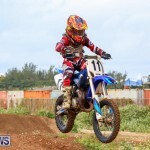 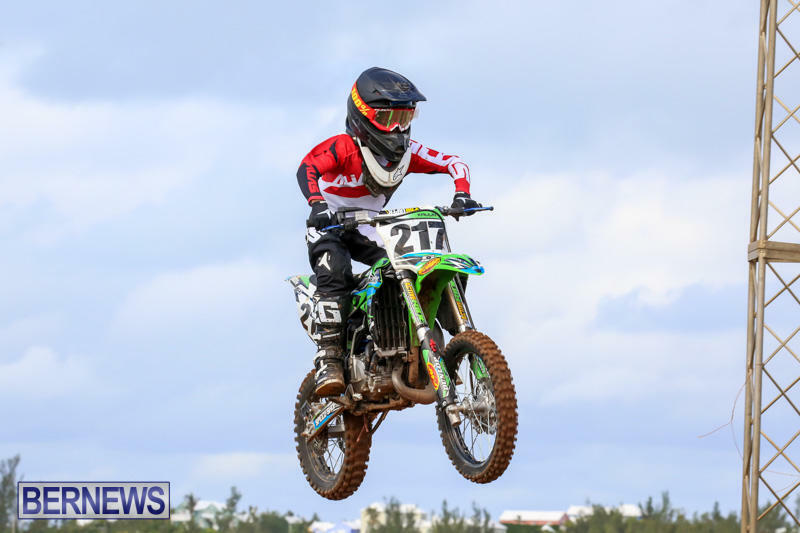 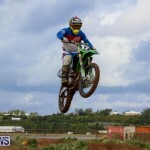 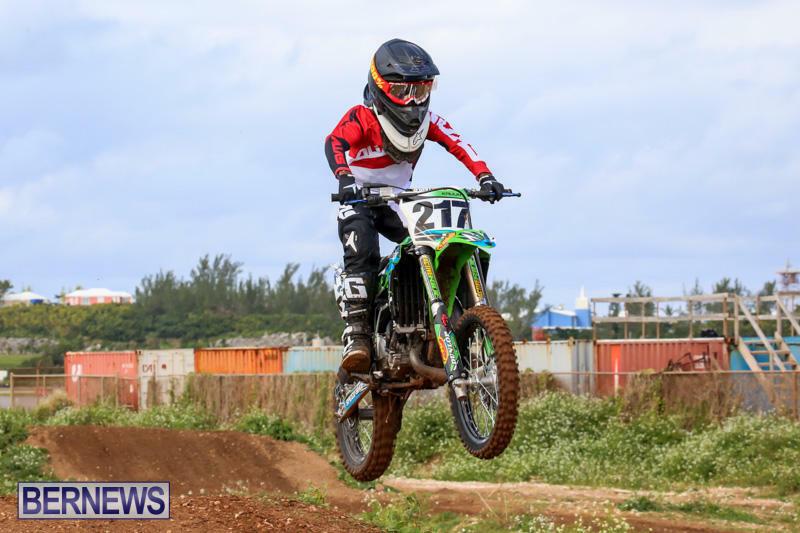 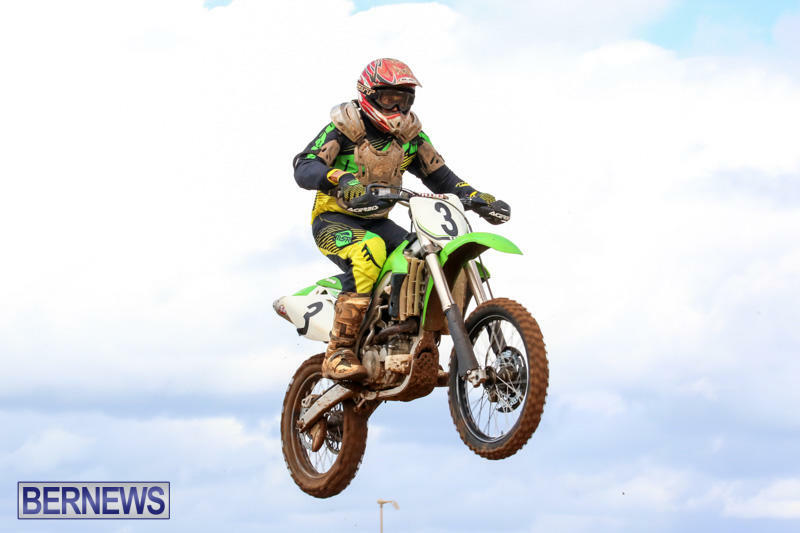 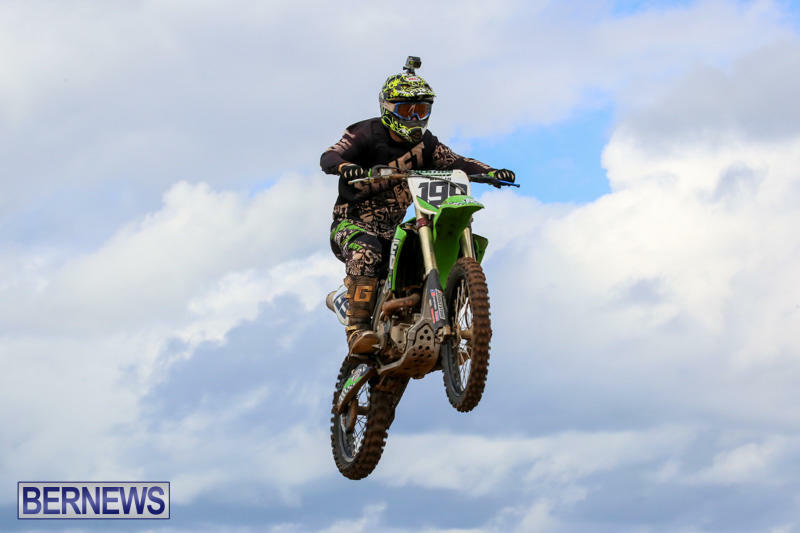 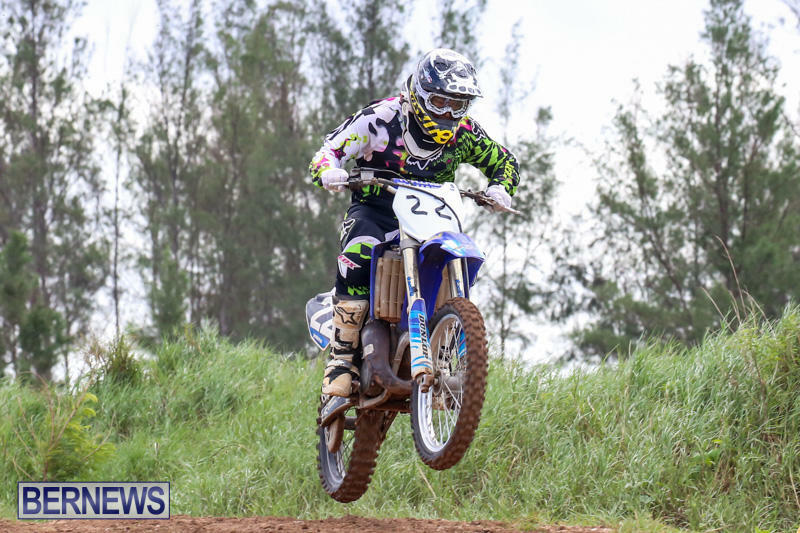 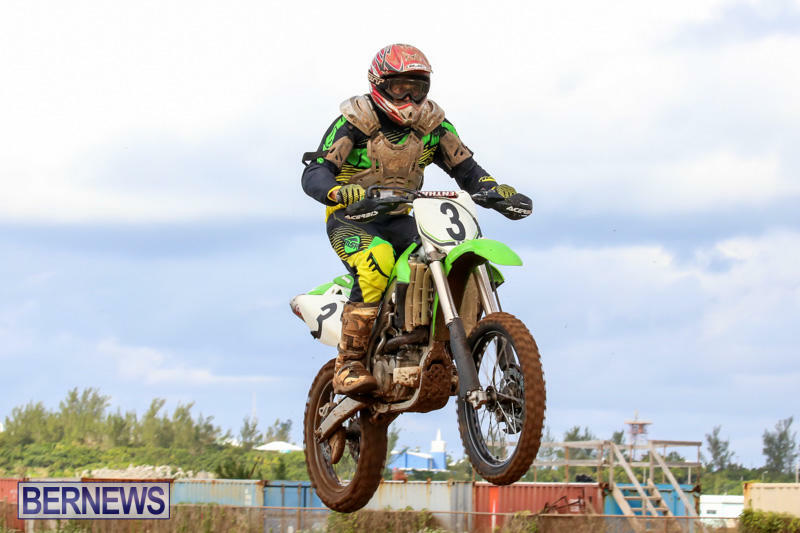 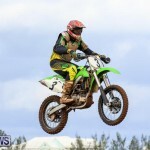 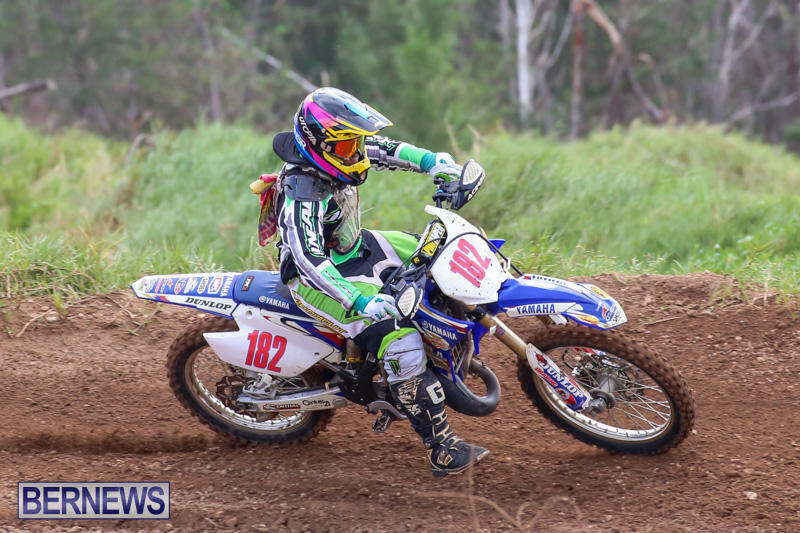 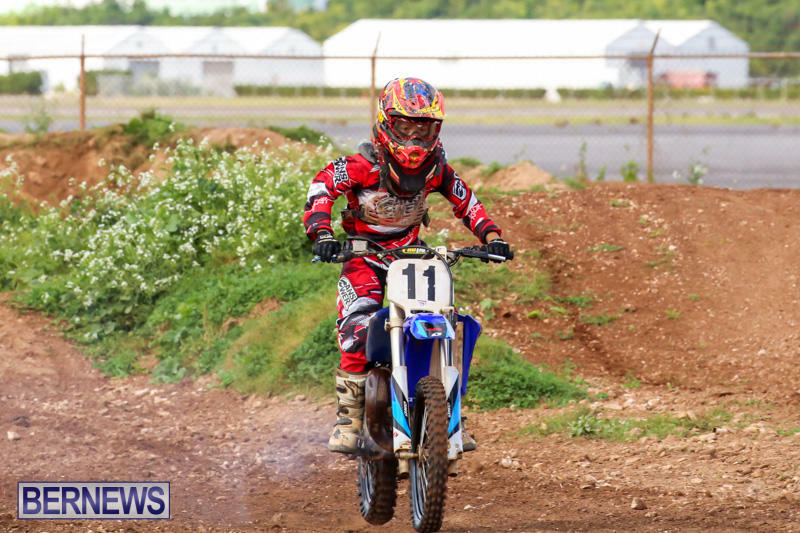 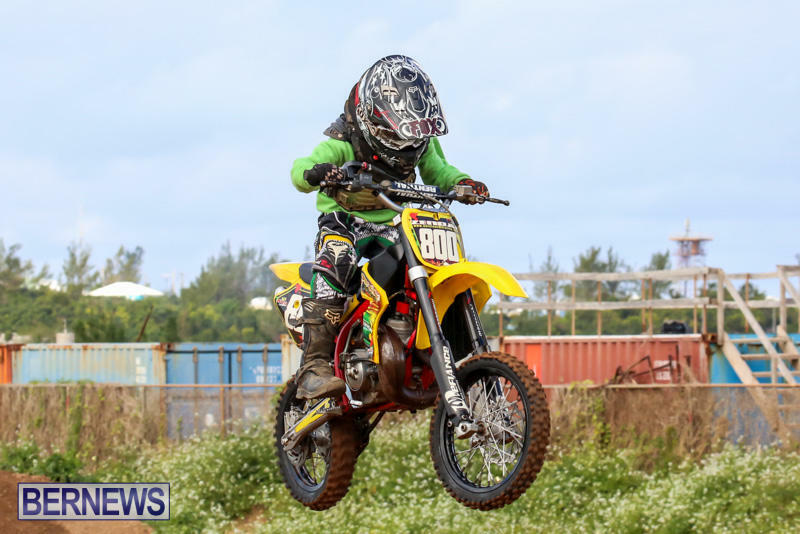 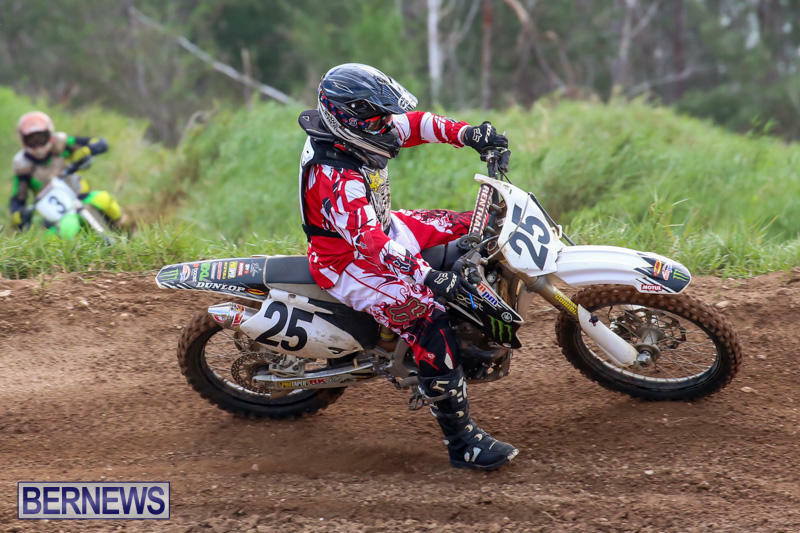 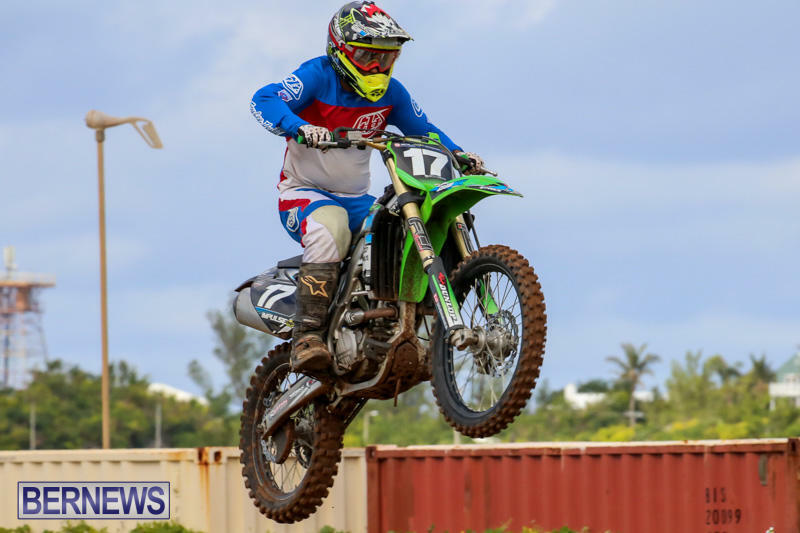 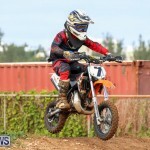 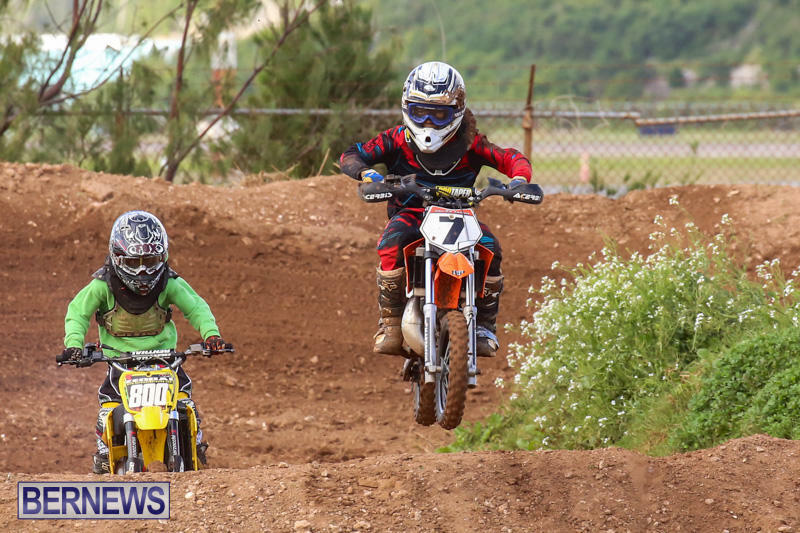 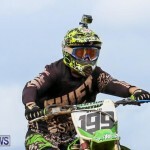 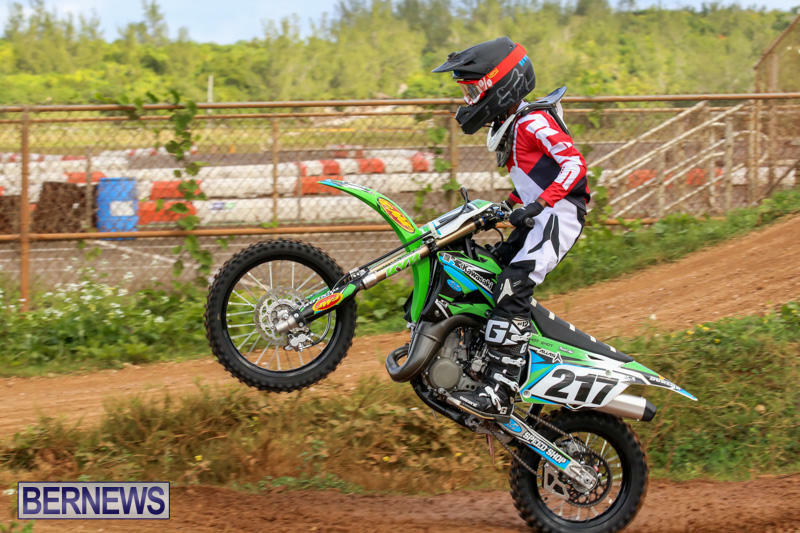 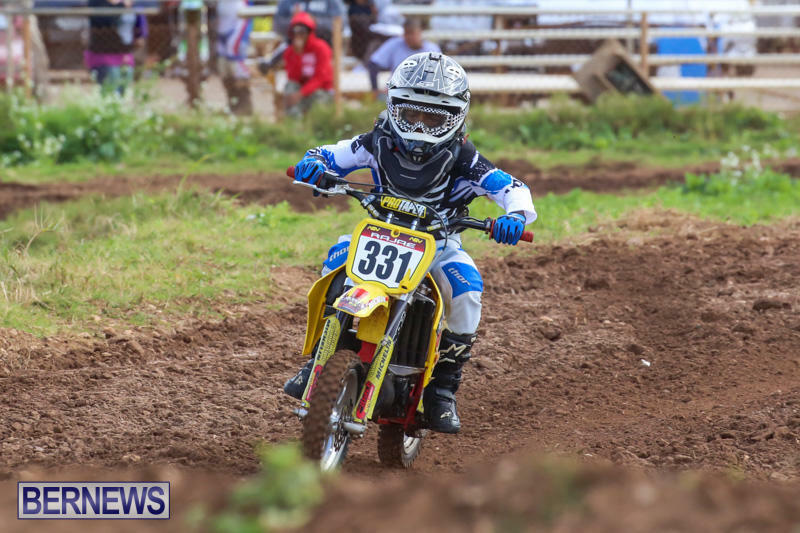 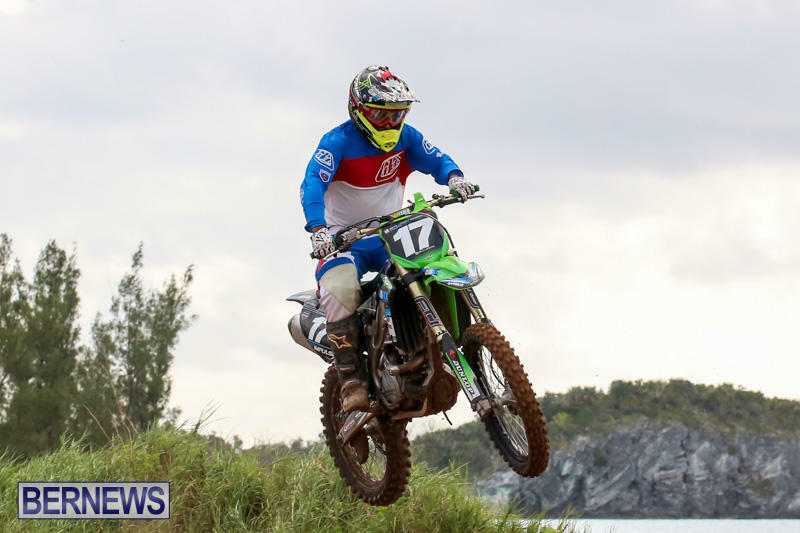 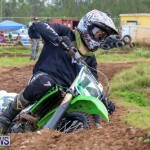 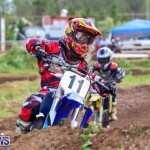 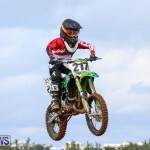 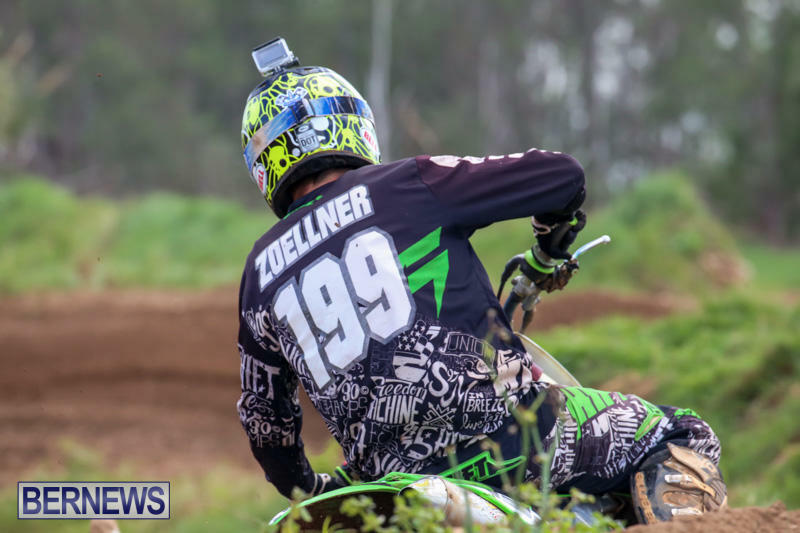 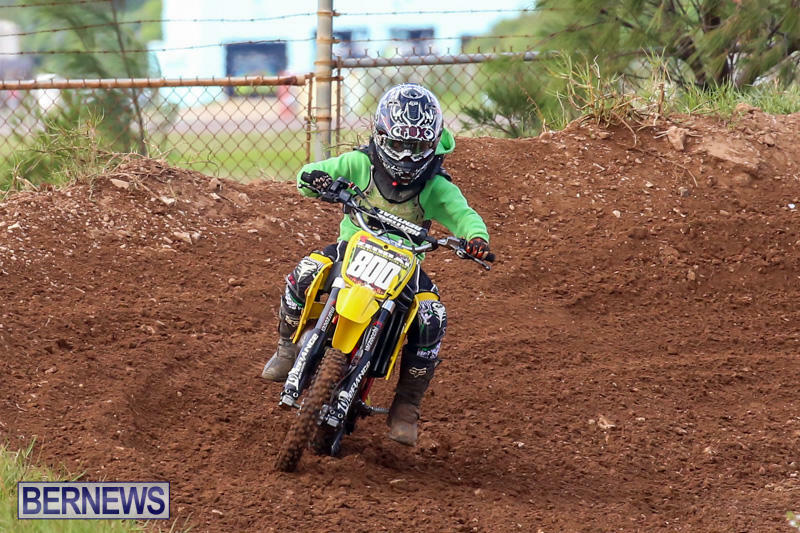 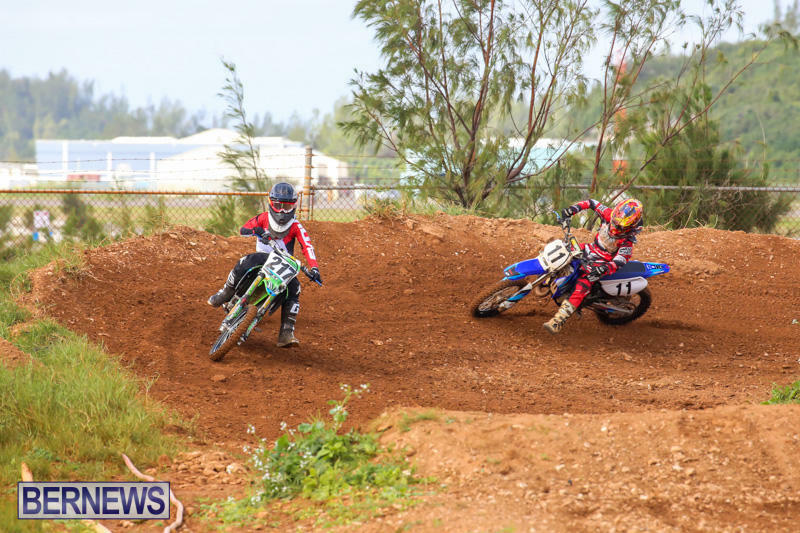 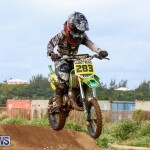 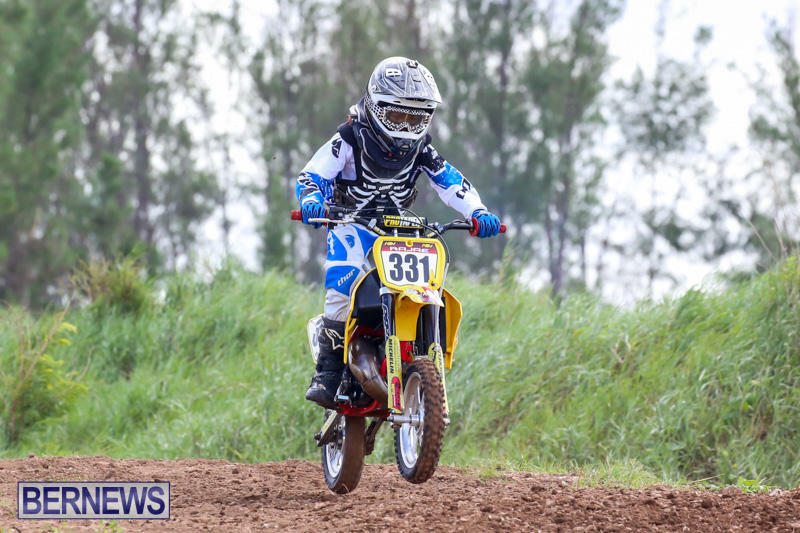 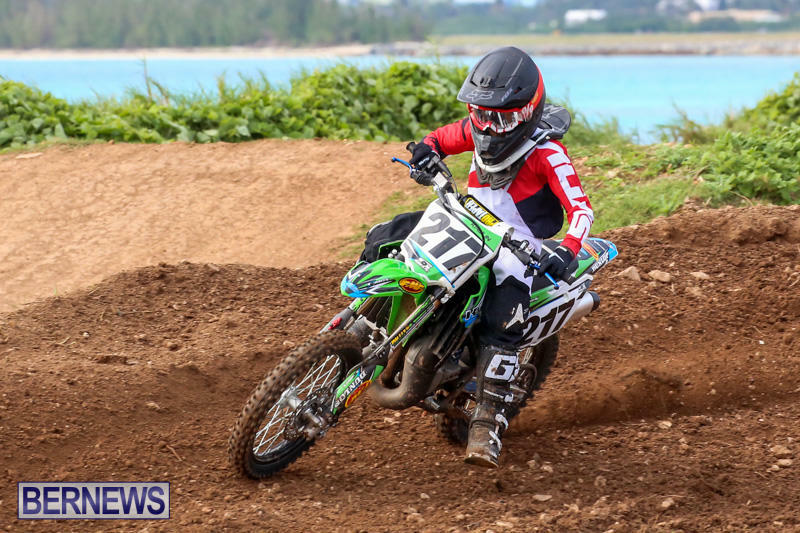 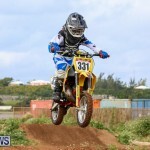 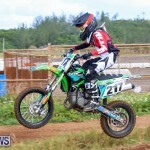 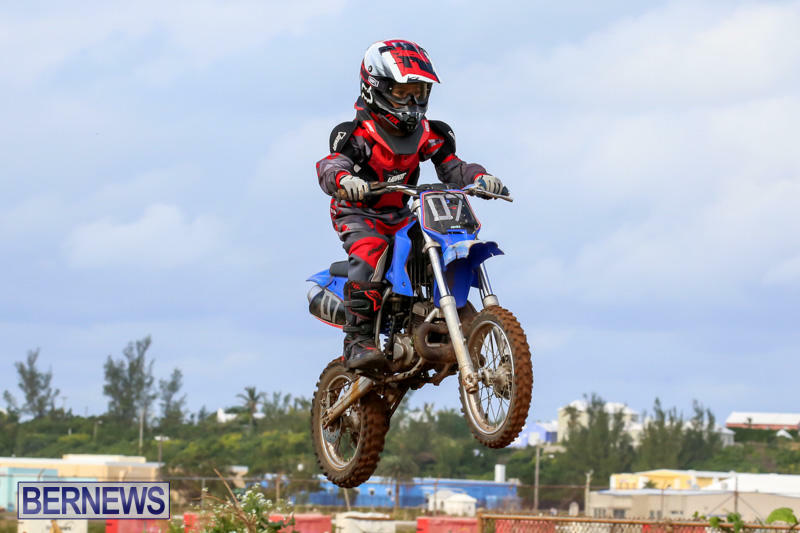 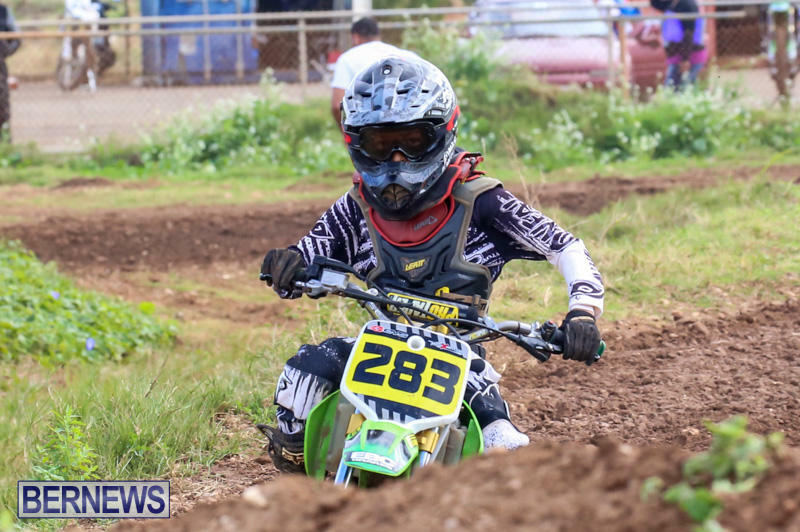 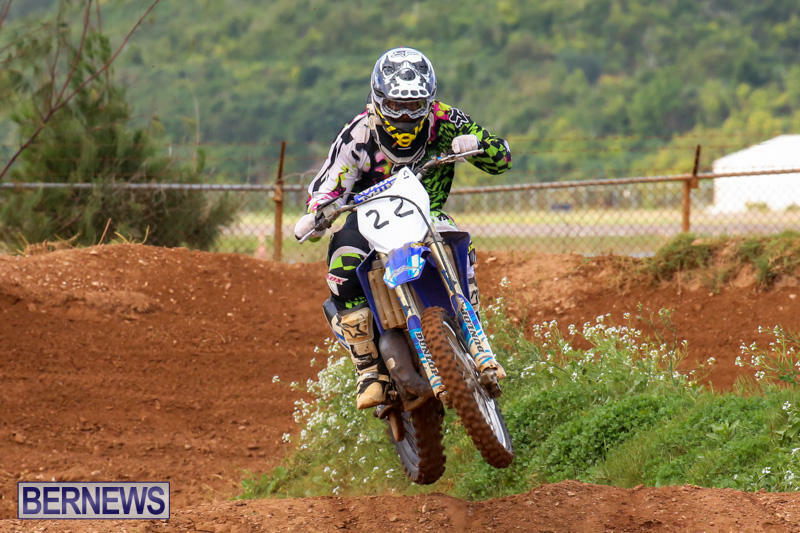 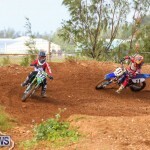 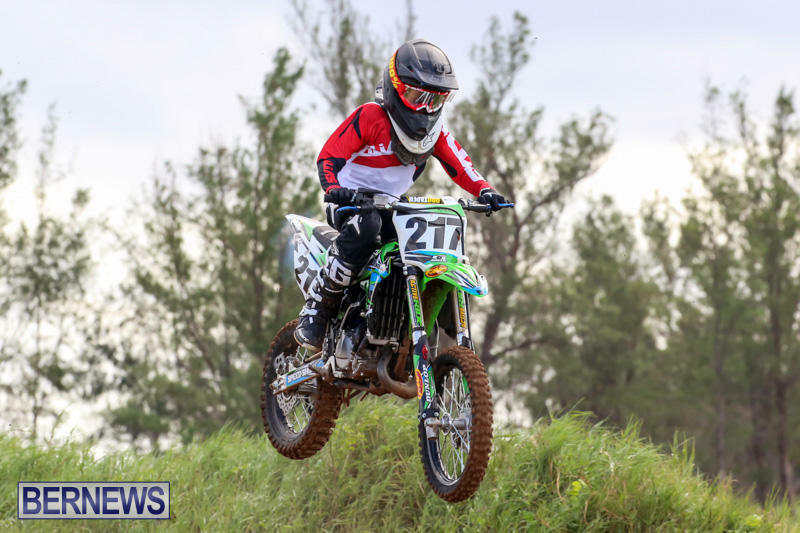 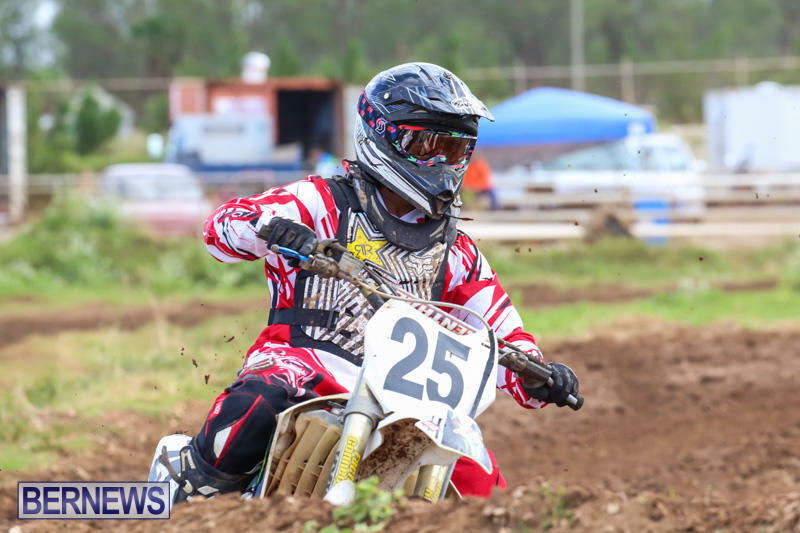 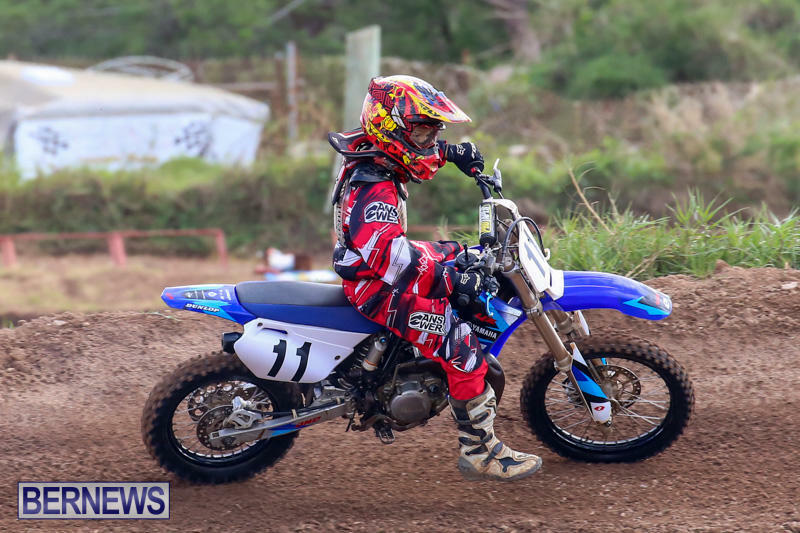 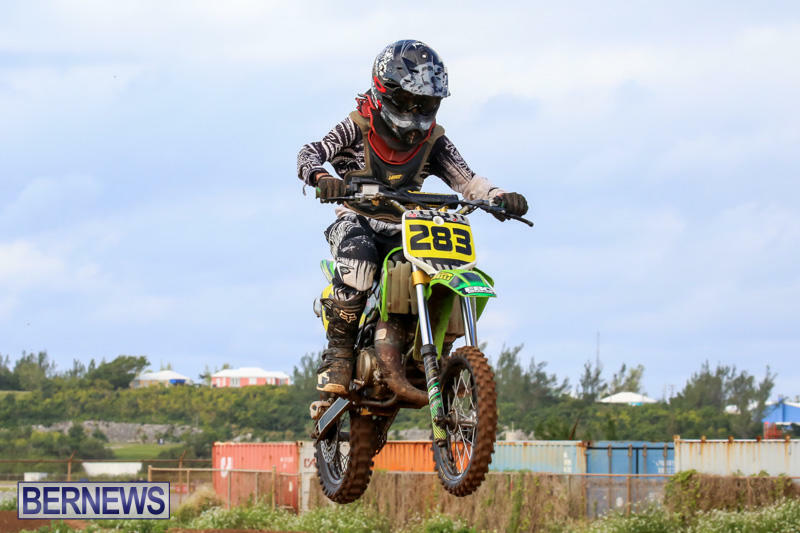 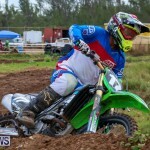 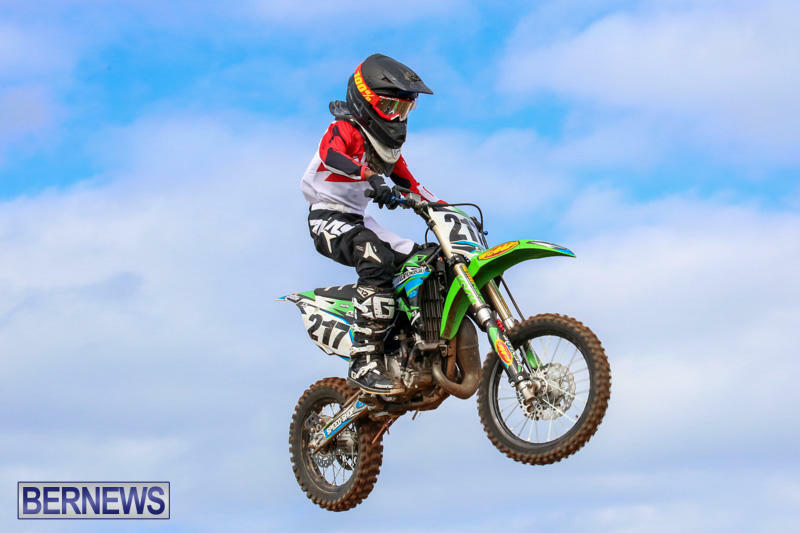 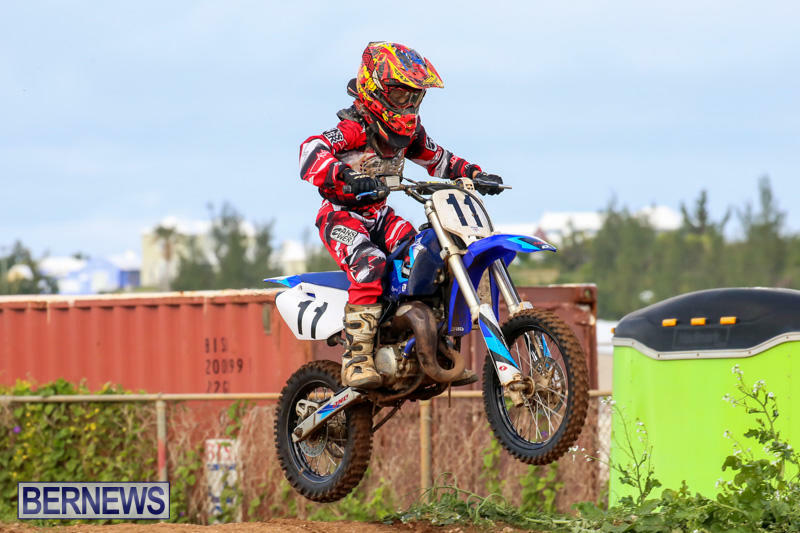 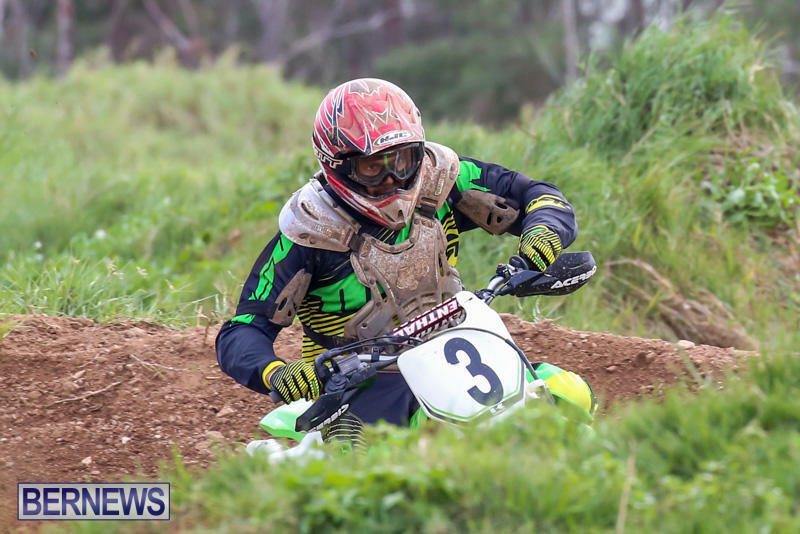 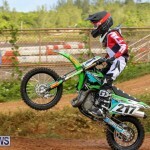 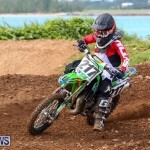 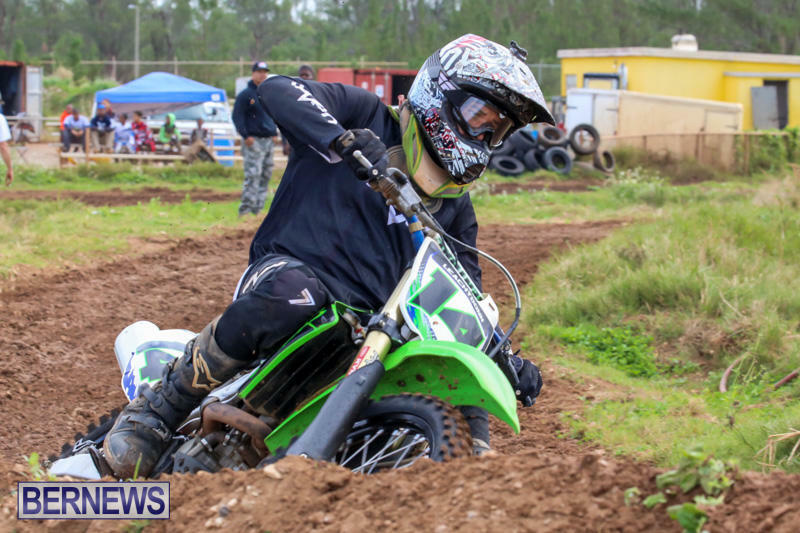 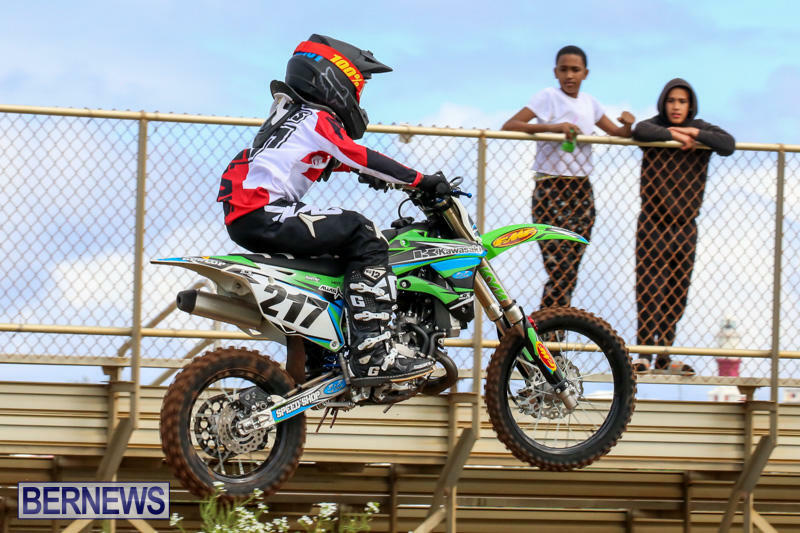 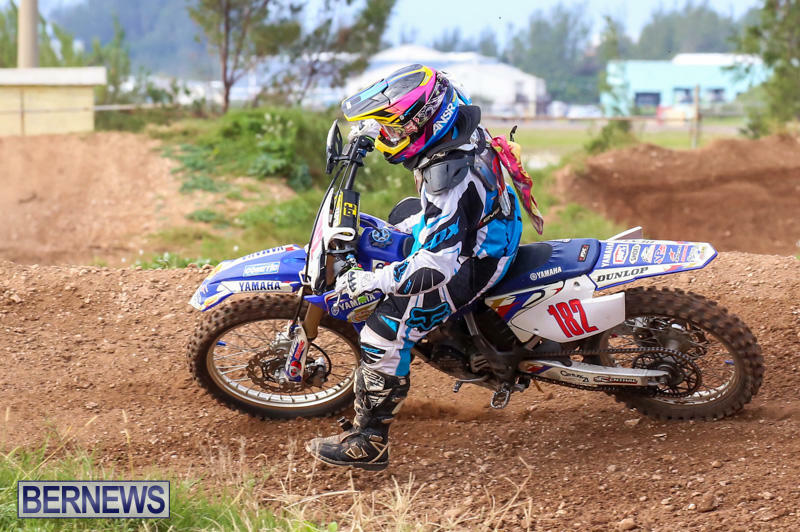 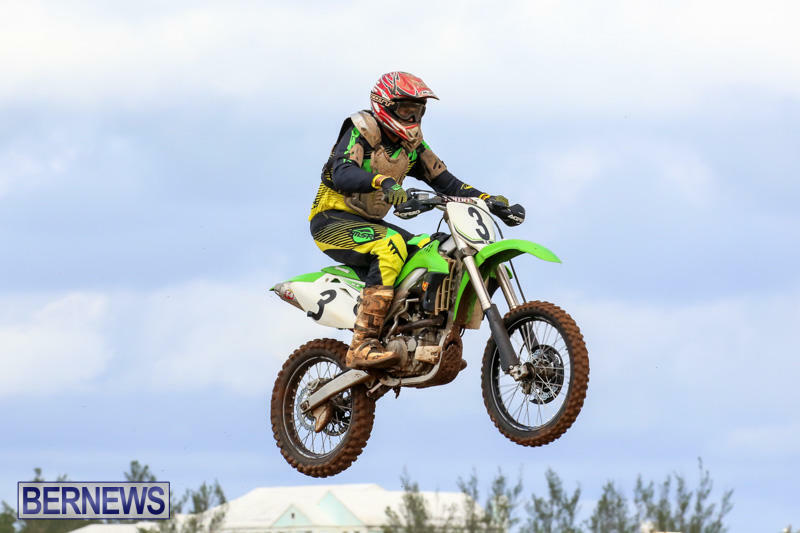 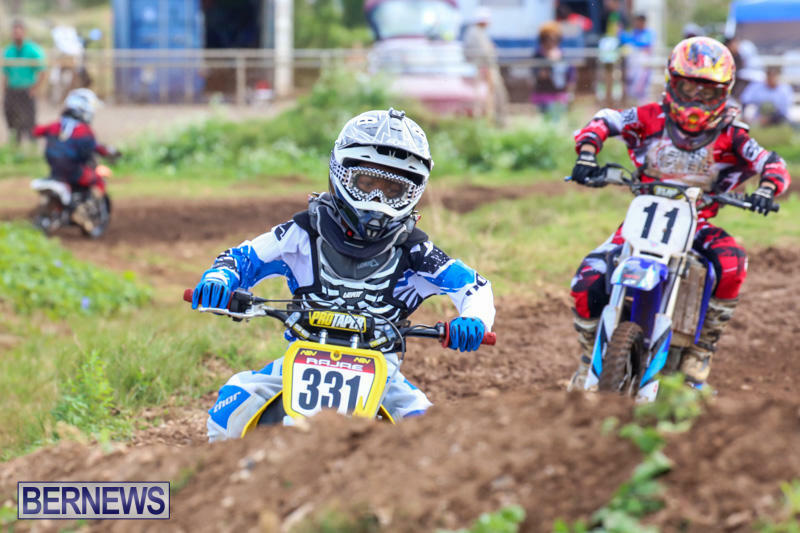 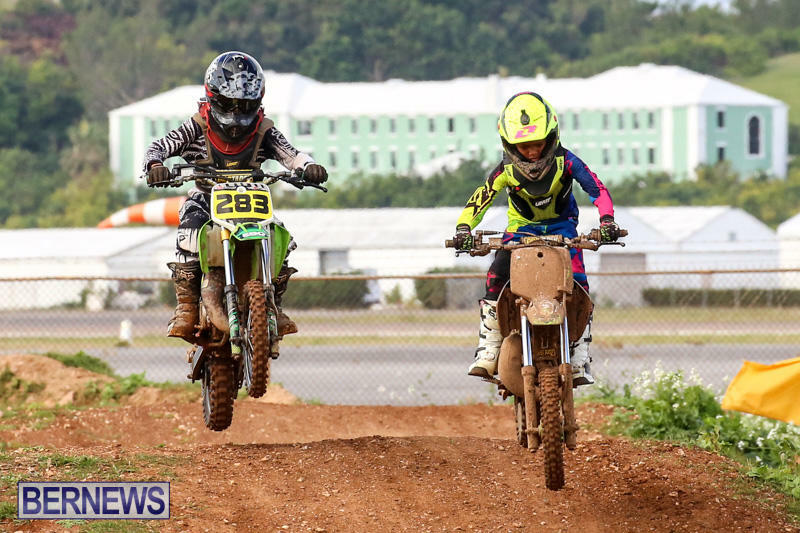 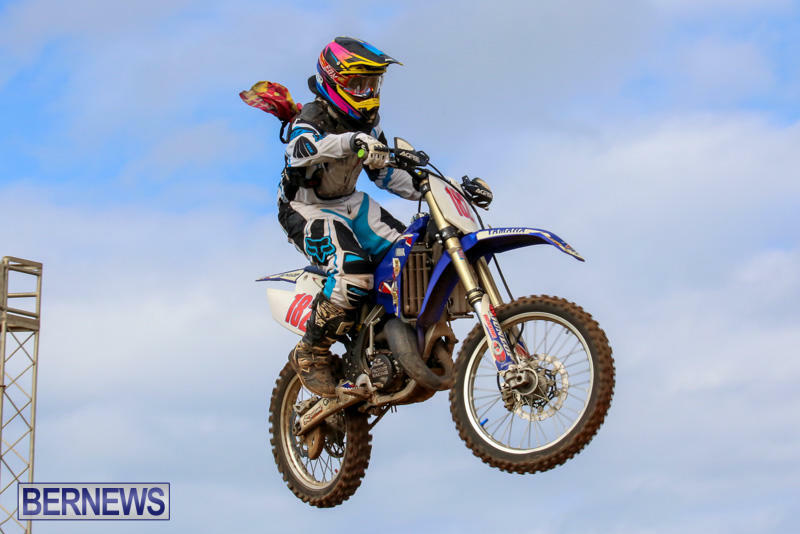 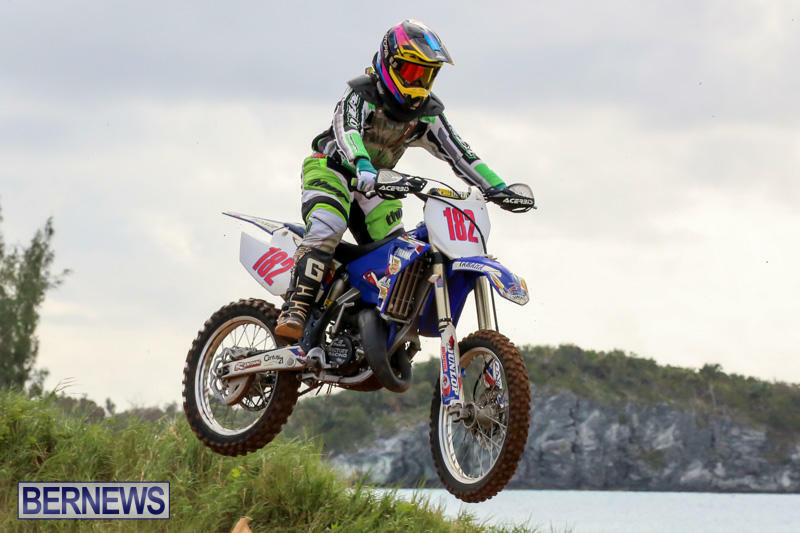 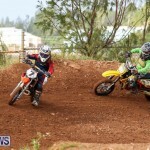 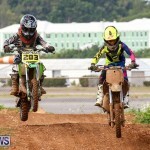 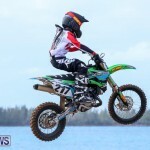 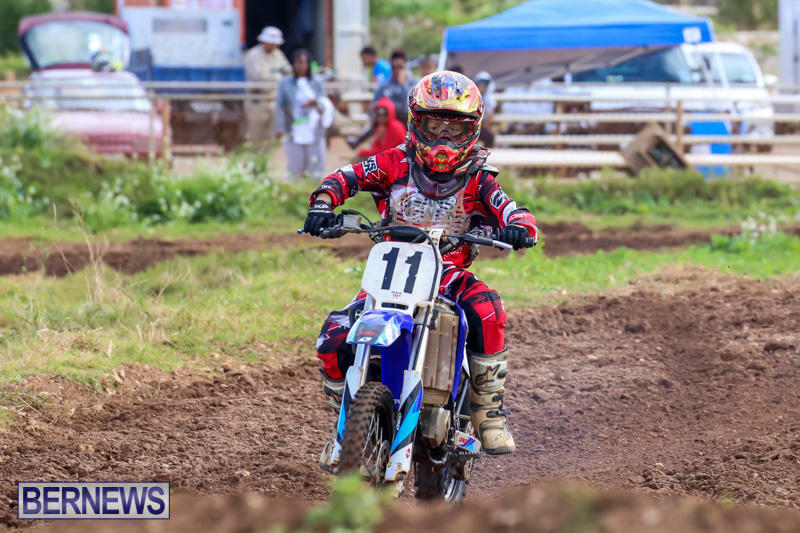 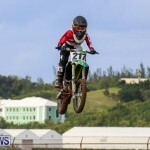 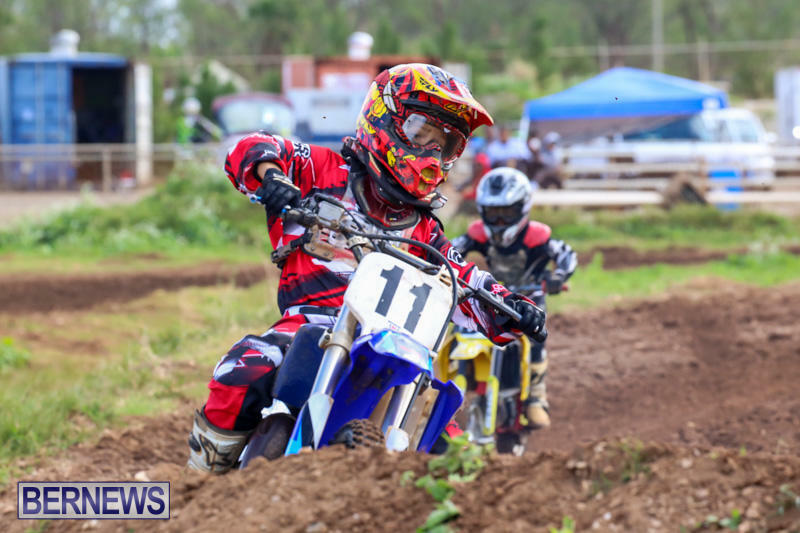 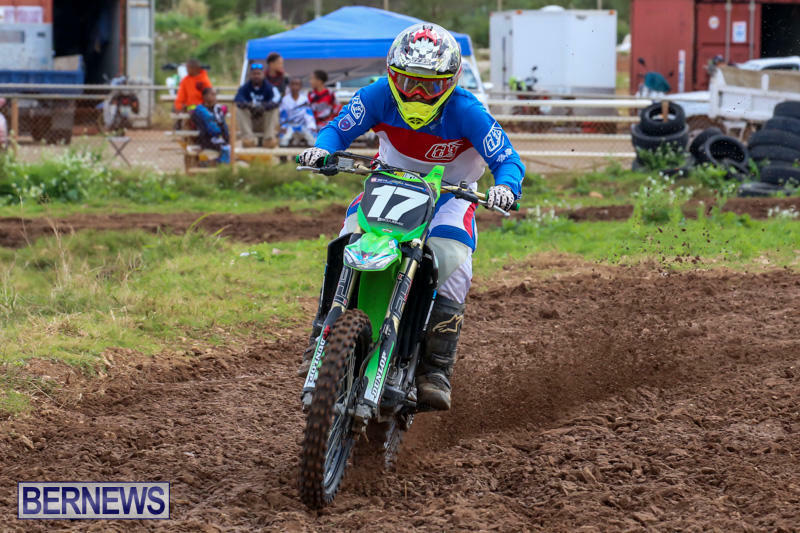 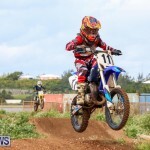 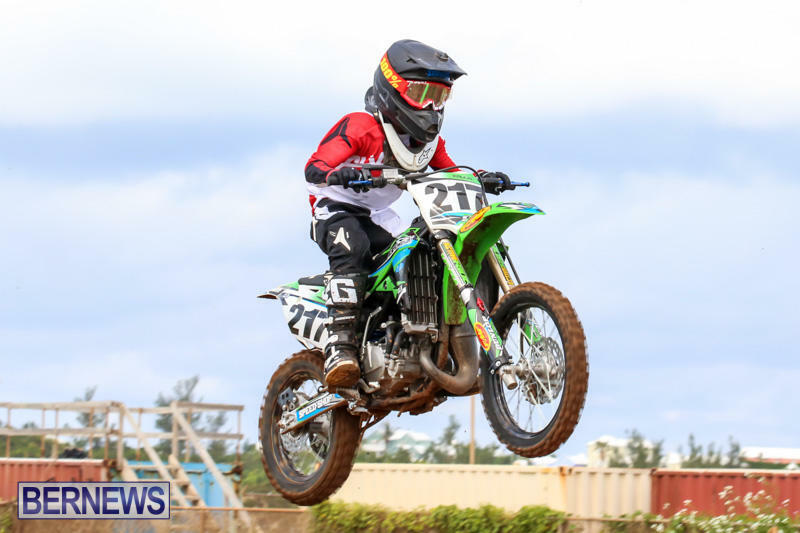 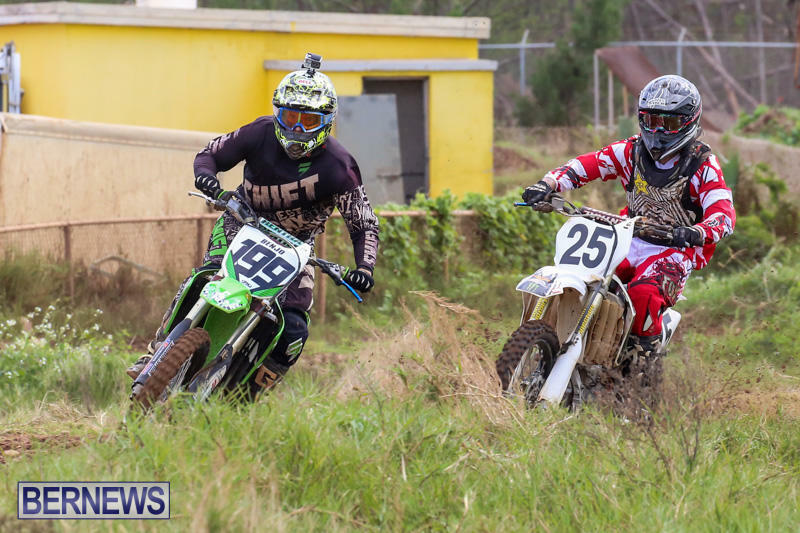 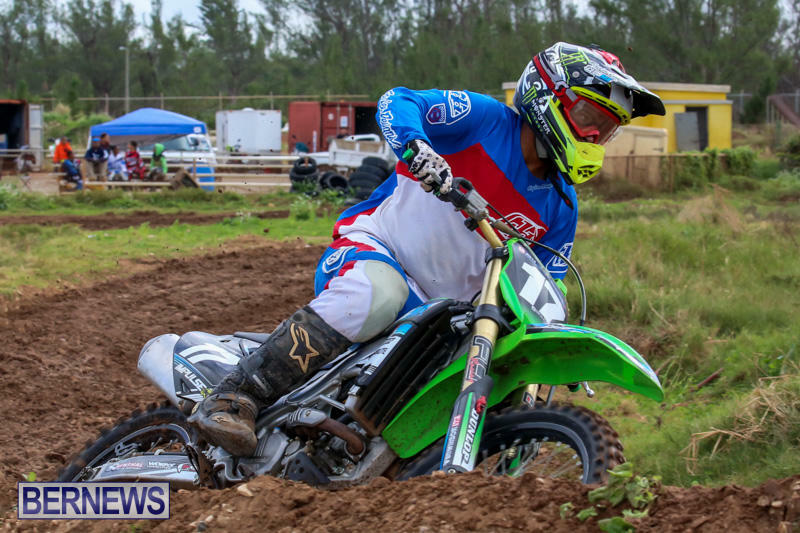 The Bermuda Motocross Club racing season continued with racing action on Sunday [Jan 11] at the Bermuda Motorsports Park at Southside, St. David’s. 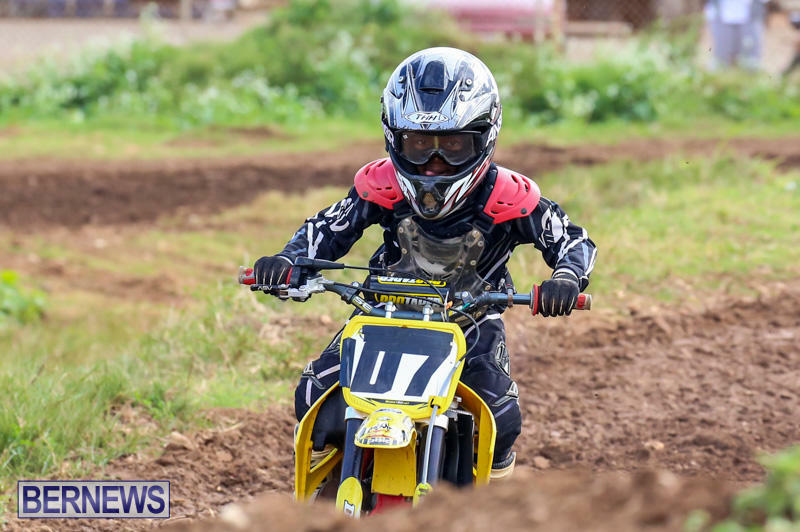 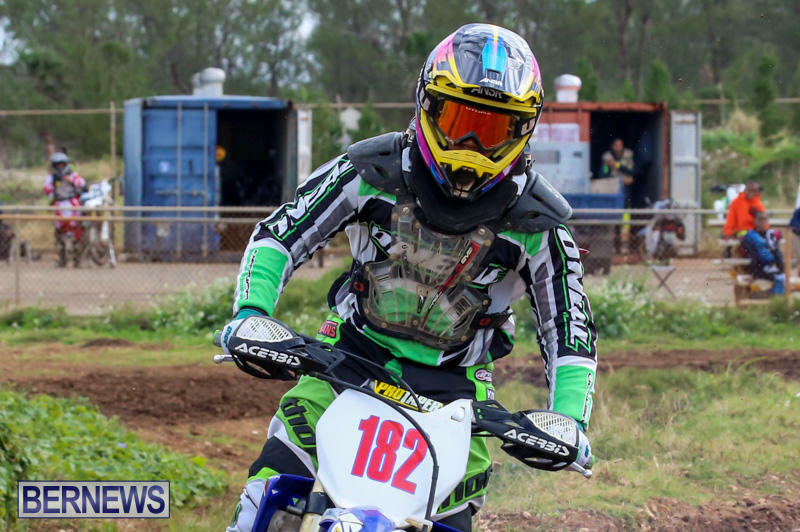 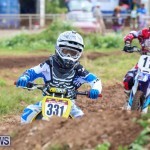 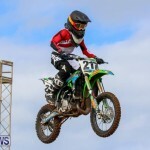 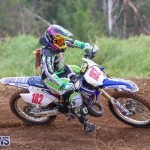 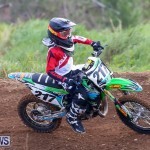 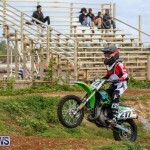 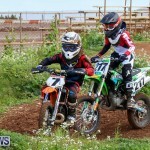 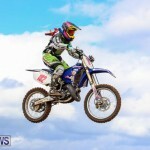 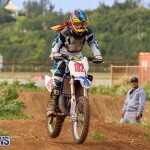 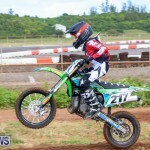 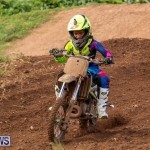 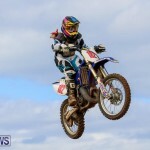 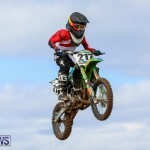 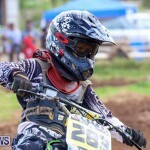 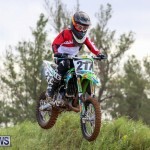 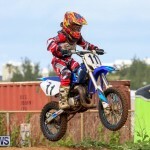 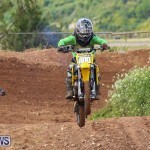 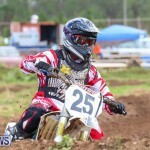 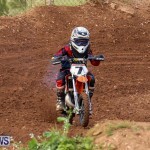 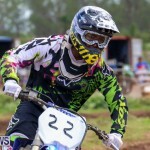 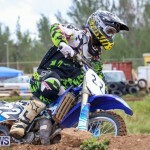 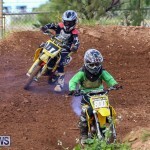 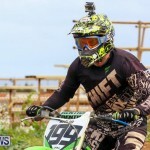 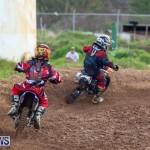 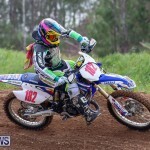 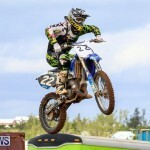 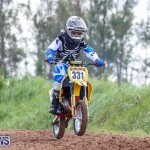 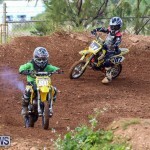 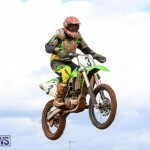 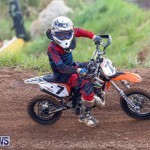 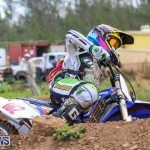 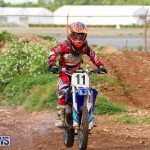 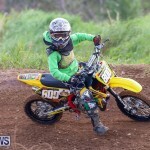 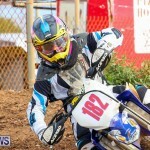 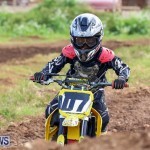 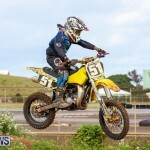 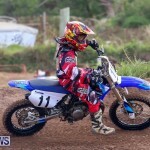 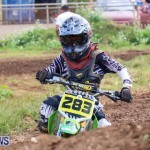 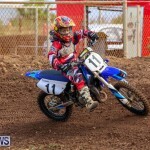 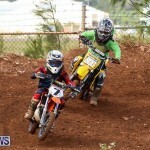 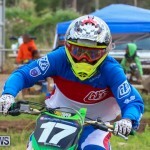 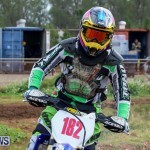 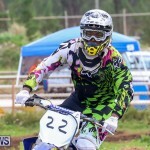 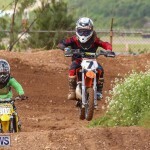 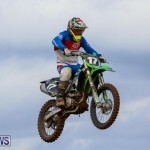 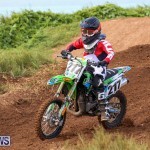 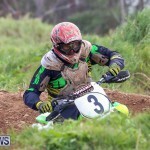 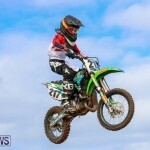 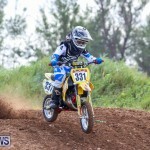 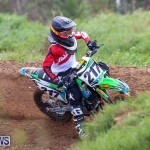 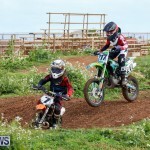 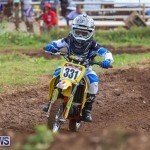 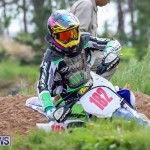 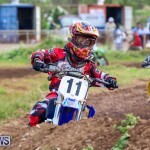 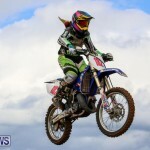 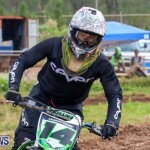 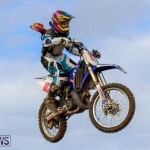 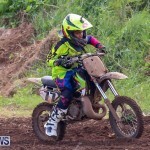 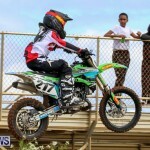 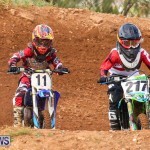 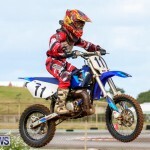 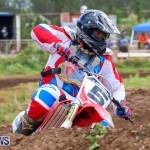 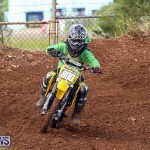 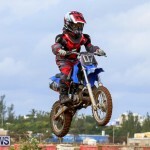 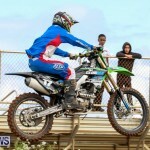 Jauza James won the 50cc Class on the day with a win and two second place finishes. 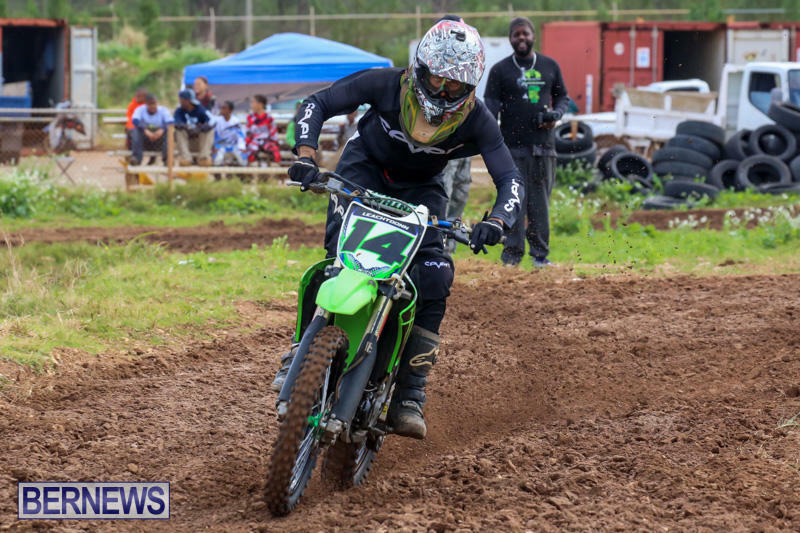 Rajae Whitter finished second with two wins and a fourth place finish while Michael McLean finished third. 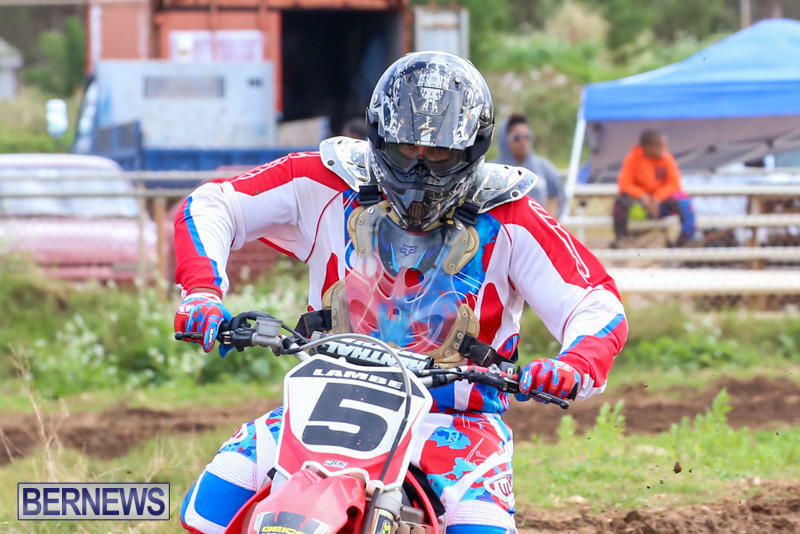 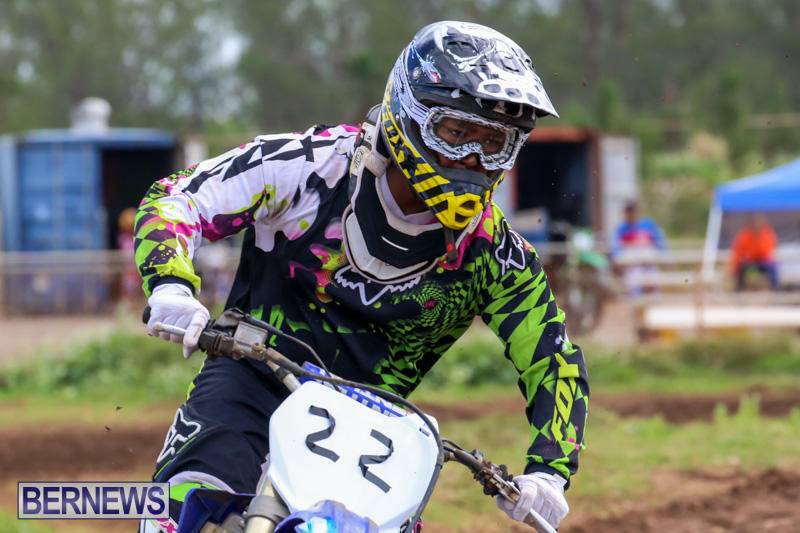 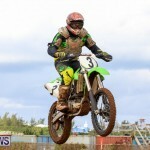 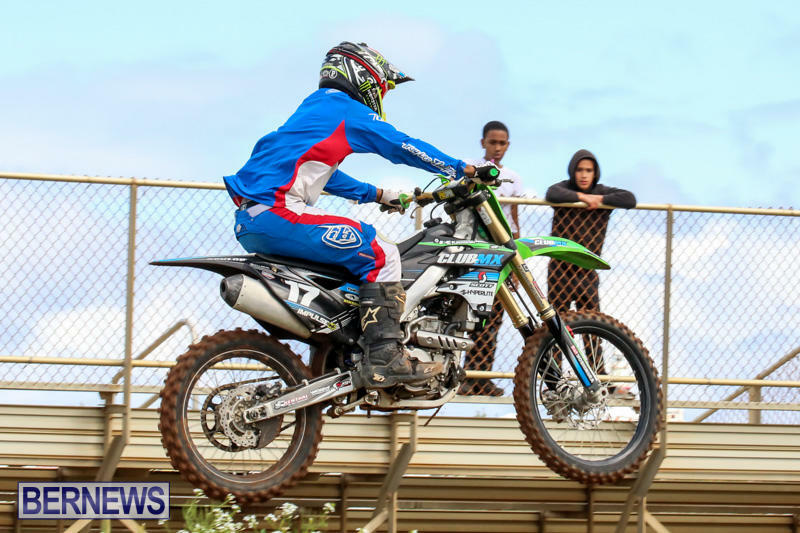 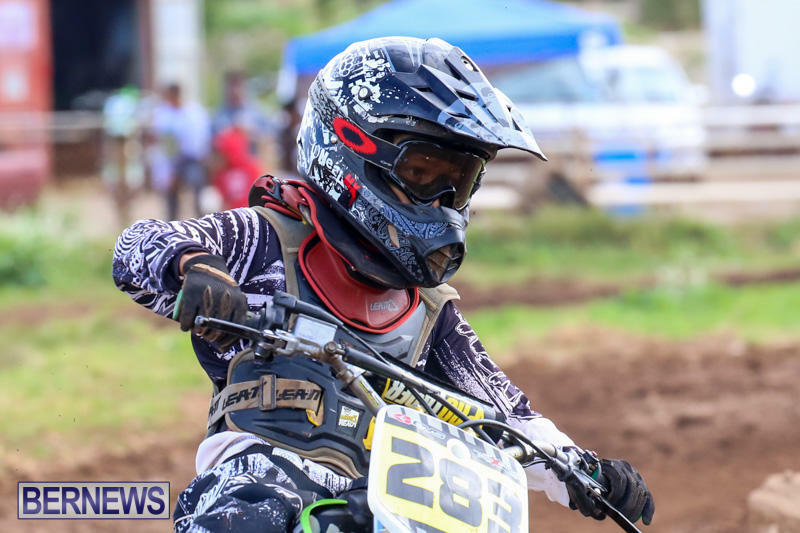 Zano Tucker recorded three wins in the 65cc Class while Lazai Outerbridge finished second after finishing second twice and third once. 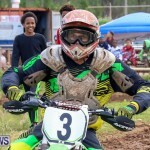 Moses Johnson finished third. 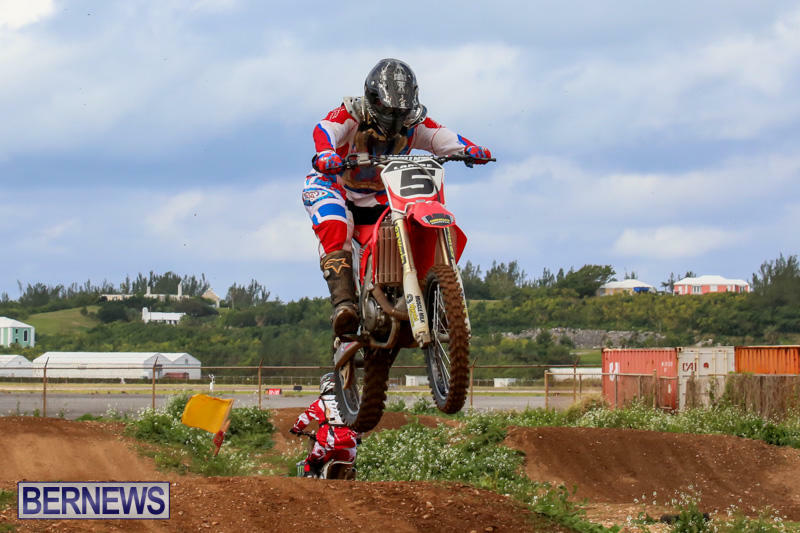 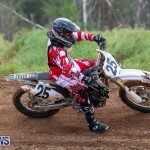 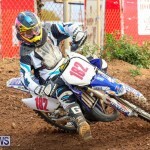 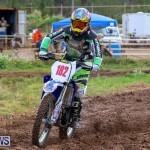 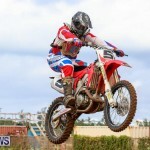 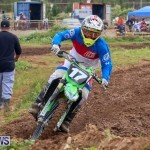 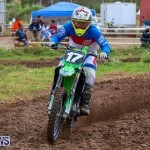 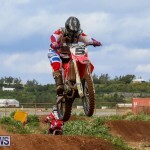 Keon Glasford won the 85cc Class for the day with three wins while Cory Smith finished second three times. 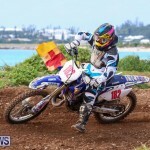 Zendai Fubler won all three races in the C Class with Andre Jones finishing second twice. 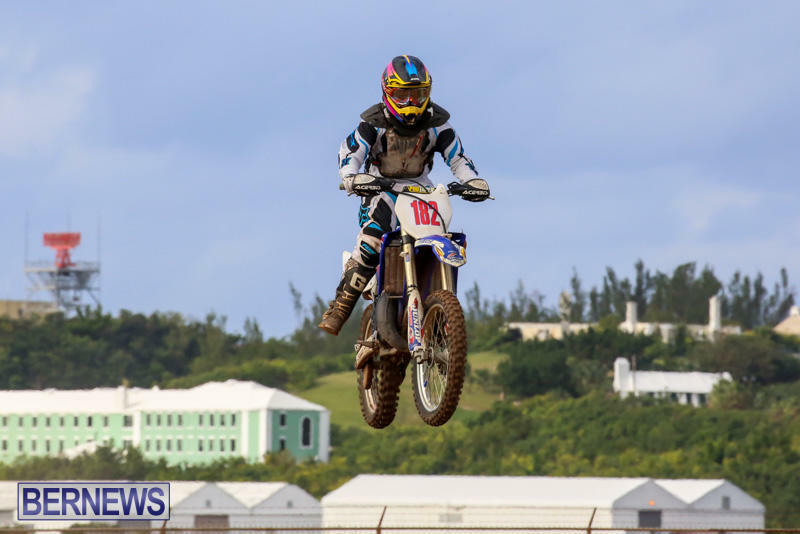 Kia-jun Simons finished second in the only race he competed in on the day as he was hurt at the track and was taken to the hospital for treatment. 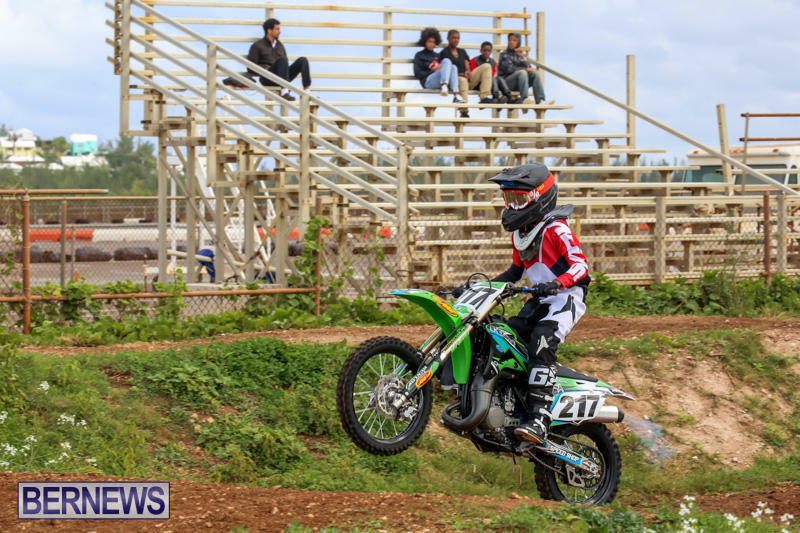 In the B Class, Tariq Bell won all three races while Shaki Smith, the only other competitor in the class, finished second in all three races. 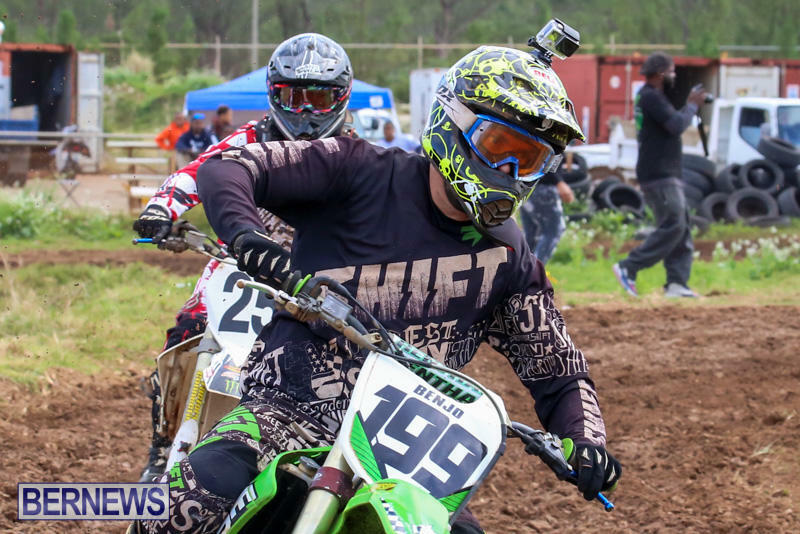 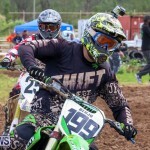 Ben Zoellner rode to victory on the day in the Over 30 Class recording three wins. 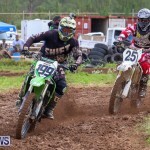 Letroy Trott finished second and Wentworth Tucker finished third. 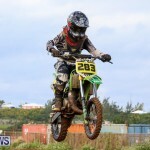 Let me just mention that Kai’jun Simons runs a 85cc in the C class. 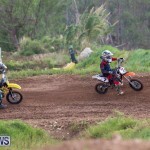 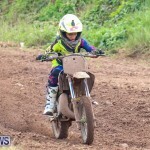 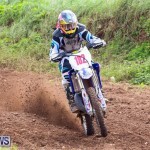 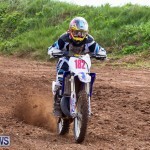 His reason is because the 85cc class is new riders on bikes and he decided to let them have thier FUN!!!! 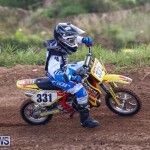 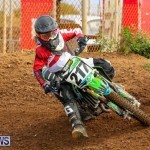 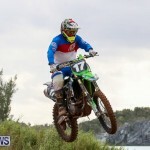 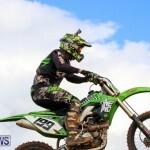 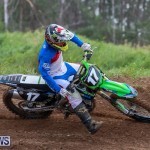 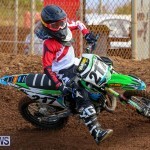 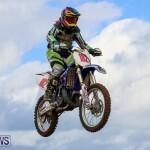 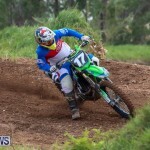 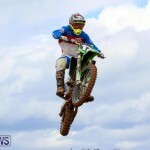 He has been in that 85cc class and it just won’t be fear to the new riders.